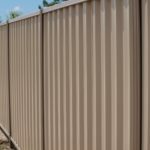 Here is a little history about COLORBOND® steel that you will find very interesting. 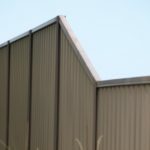 In England in 1843 a discovery was made that if a thin sheet of iron was corrugated it was lightweight and at the same time stronger than when it was flat. 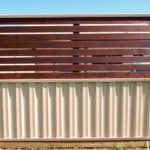 A man named John Lysaght brought corrugated iron to Australia within a decade of that discovery. 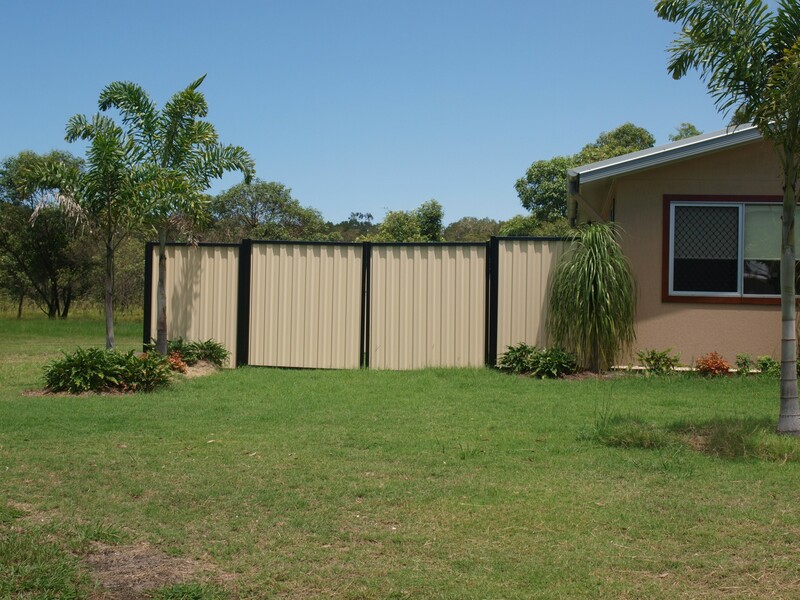 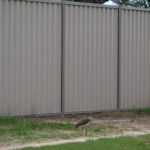 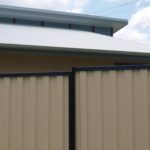 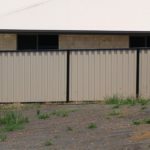 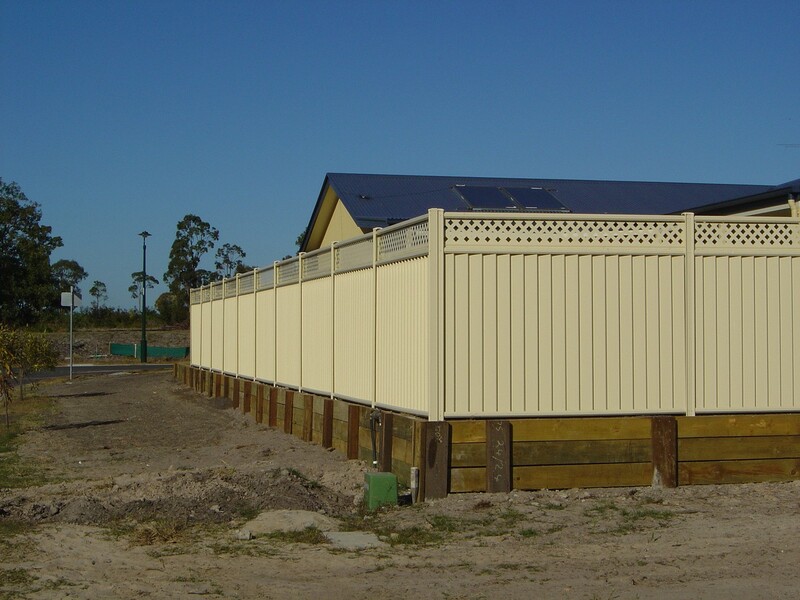 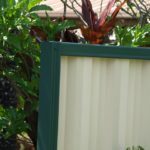 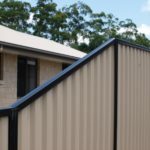 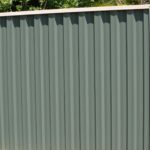 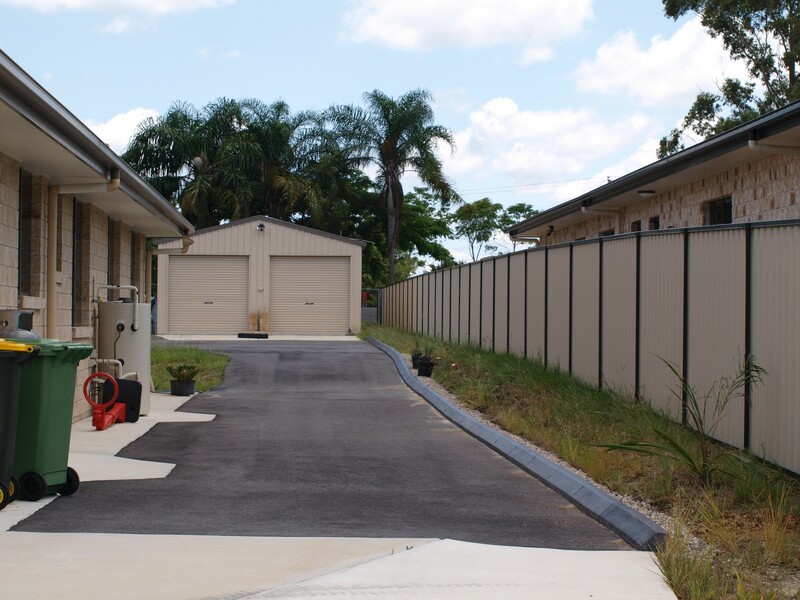 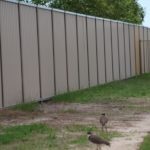 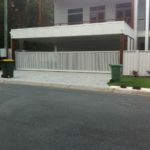 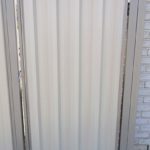 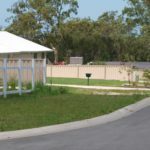 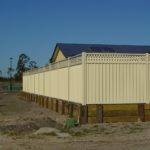 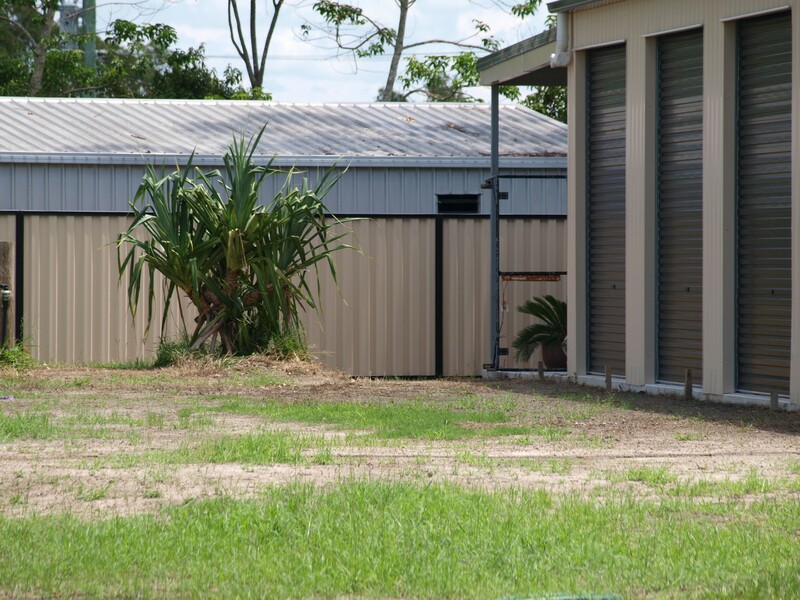 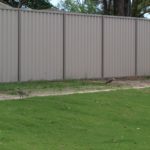 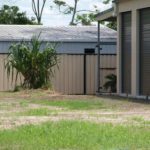 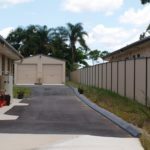 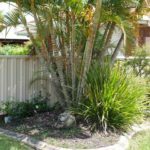 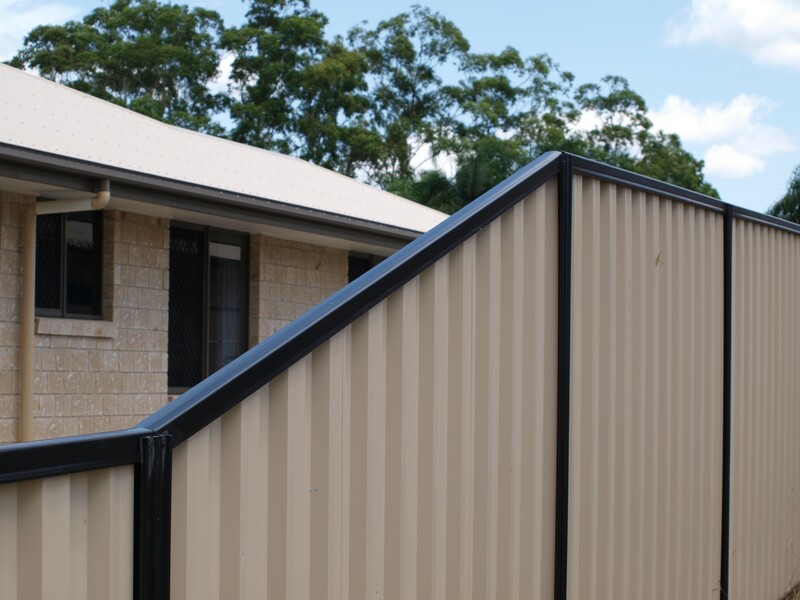 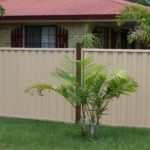 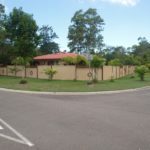 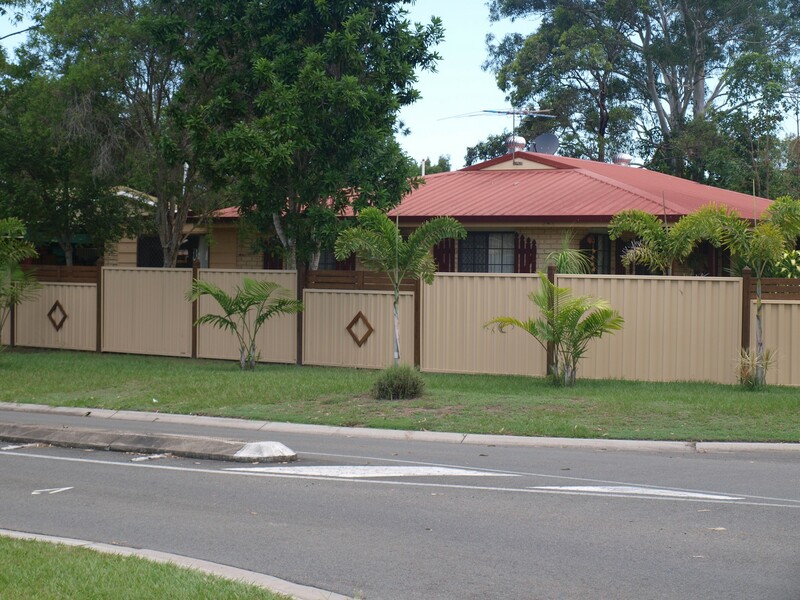 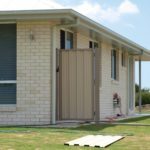 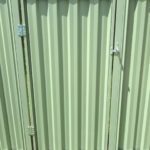 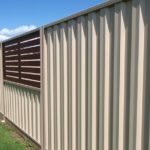 The conditions in Australia back then were harsh and as the early settlers adapted to an entirely new environment corrugated iron was extensively used in housing and fences. 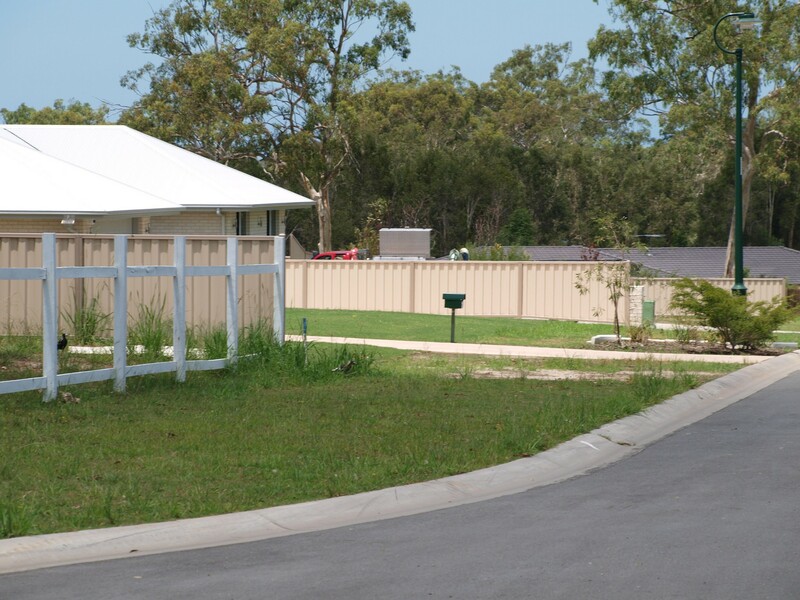 The great outdoors certainly are great with vast distances to be covered by horse and cart or camel! 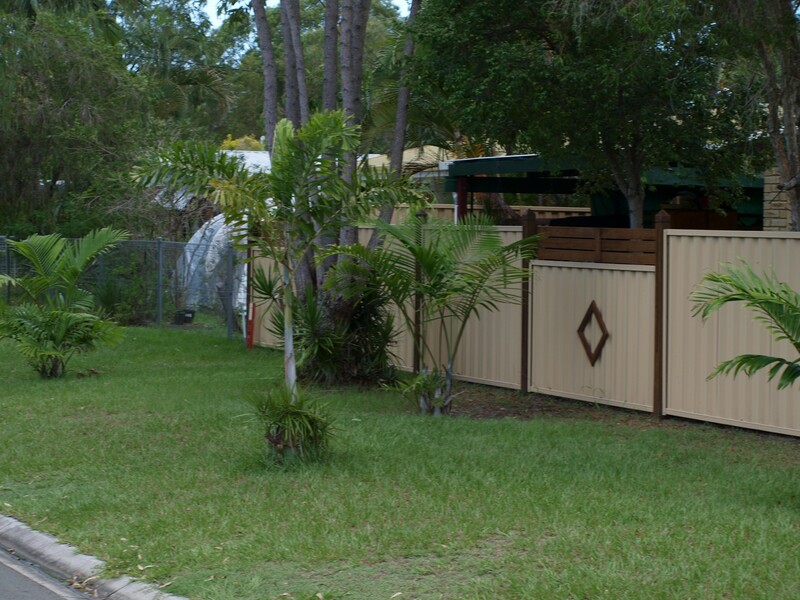 Can you imagine the challenges these early settlers faced? 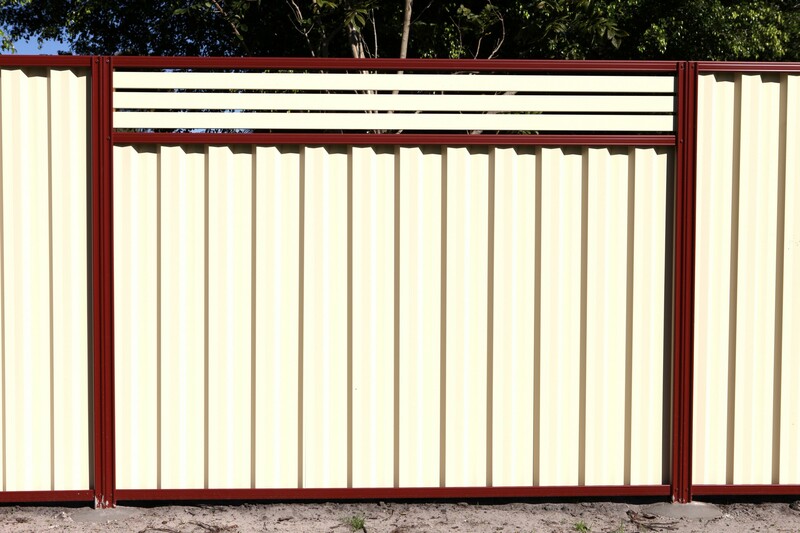 Lightweight and stackable corrugated iron was easily transported across great distances. 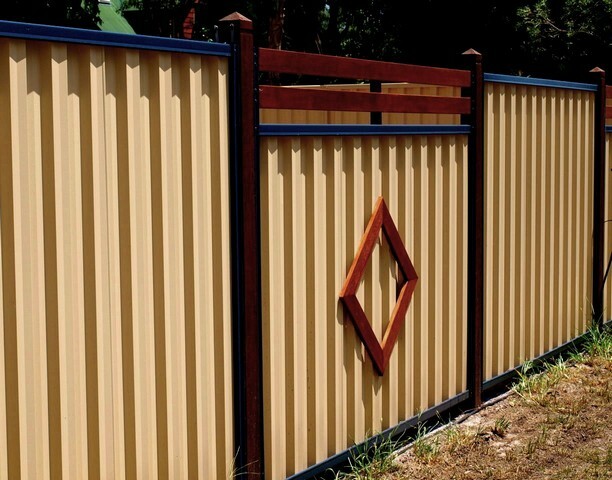 For close to a century regular painting was the only way to keep the iron looking good. 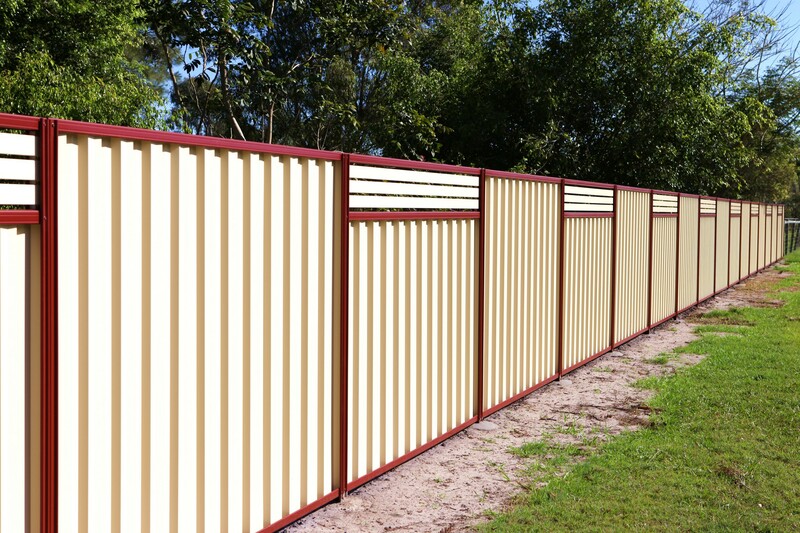 Paint served no other purpose than looks. 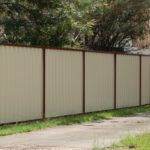 During the 1950’s another discovery was made in Chicago. 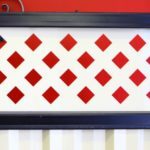 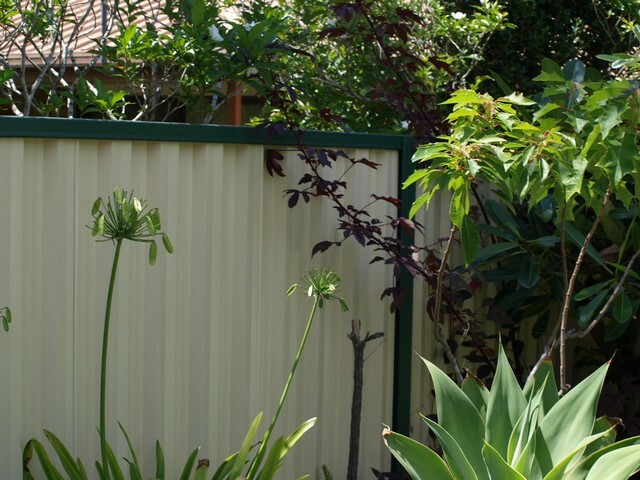 It was discovered that there was a way to successfully bond paint to a galvanised base! 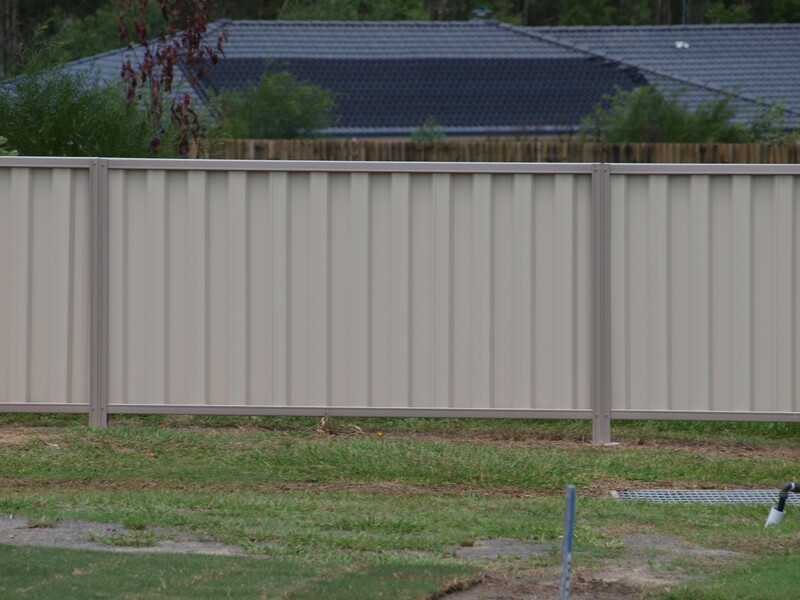 Again John Lysaght bought that ‘modern technology’ to Australia. Investing a lot of time, research and effort to the perfection of this process resulted in the first coil of COLORBOND® steel rolling off the factory line in 1966 in Port Kembla, Wollongong. 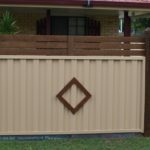 This became the talk of the town! 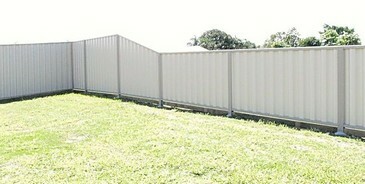 And the rest is history. 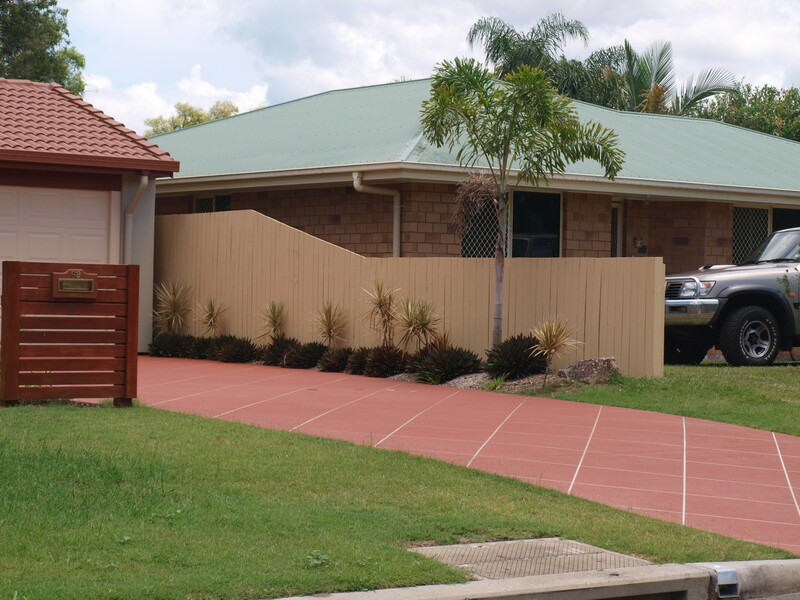 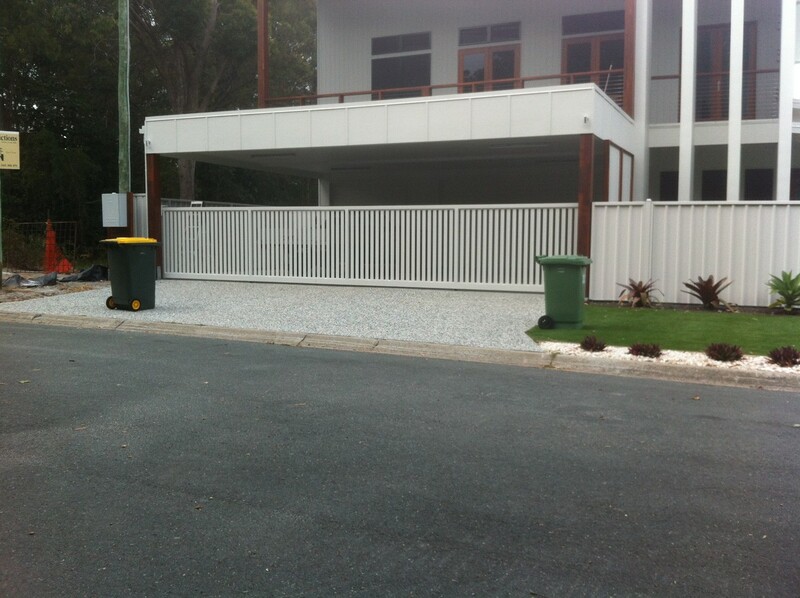 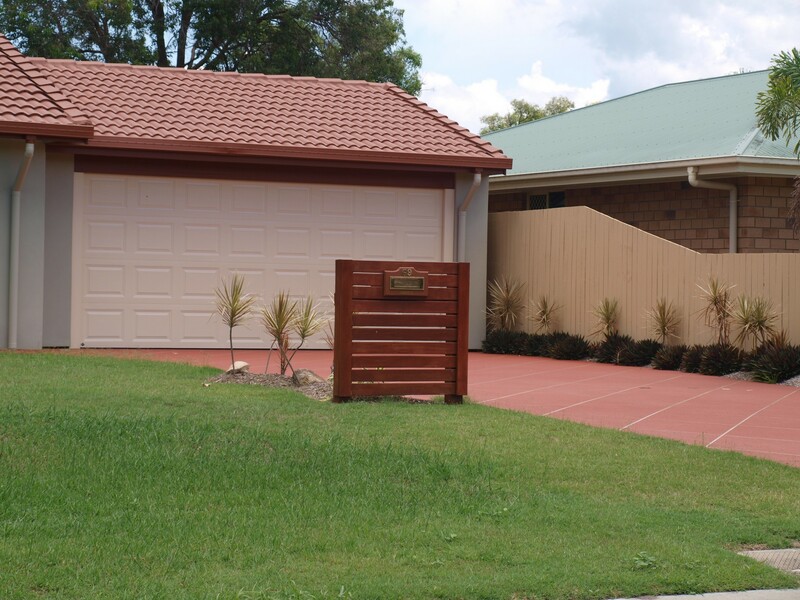 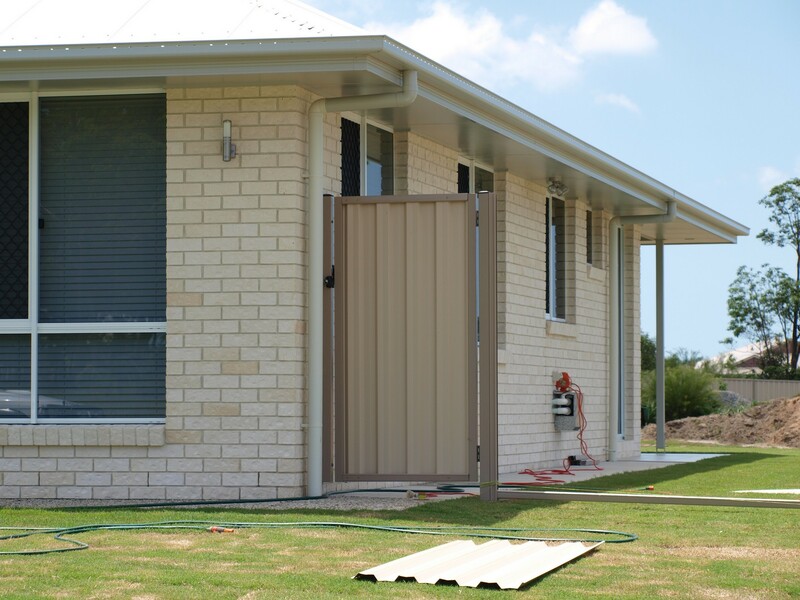 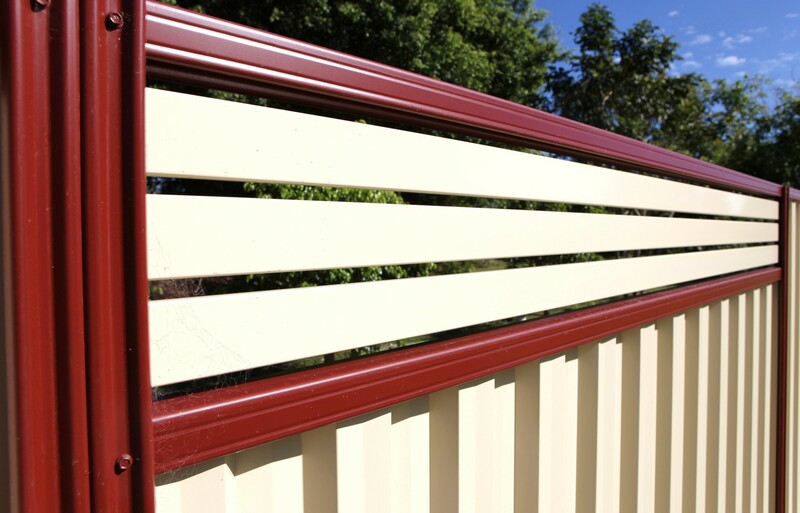 In 1966 COLORBOND® steel was available in 6 colours – today COLORBOND® steel boasts more than 20! 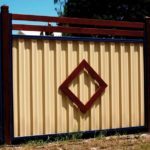 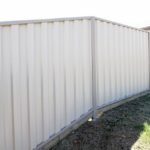 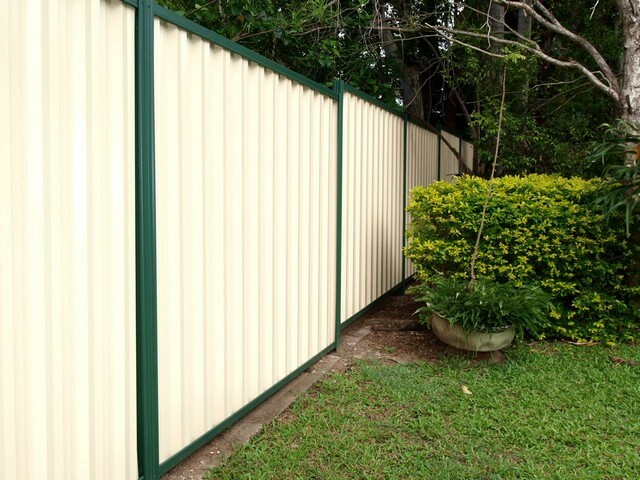 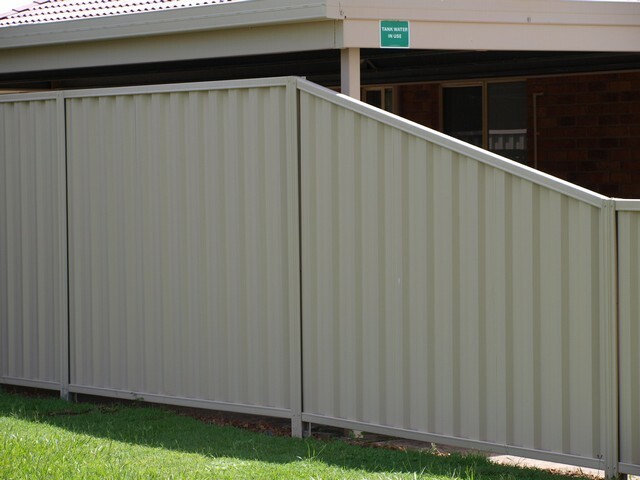 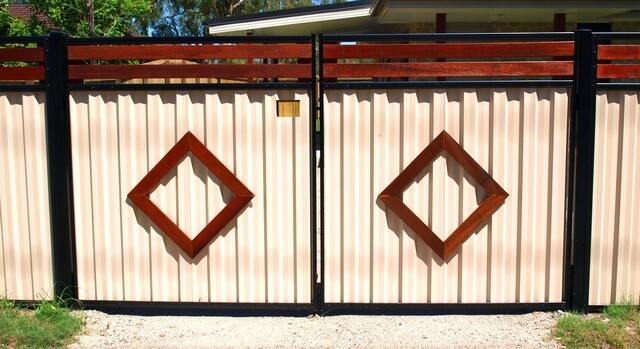 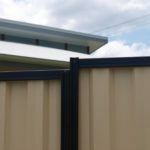 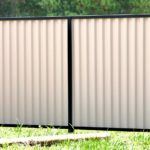 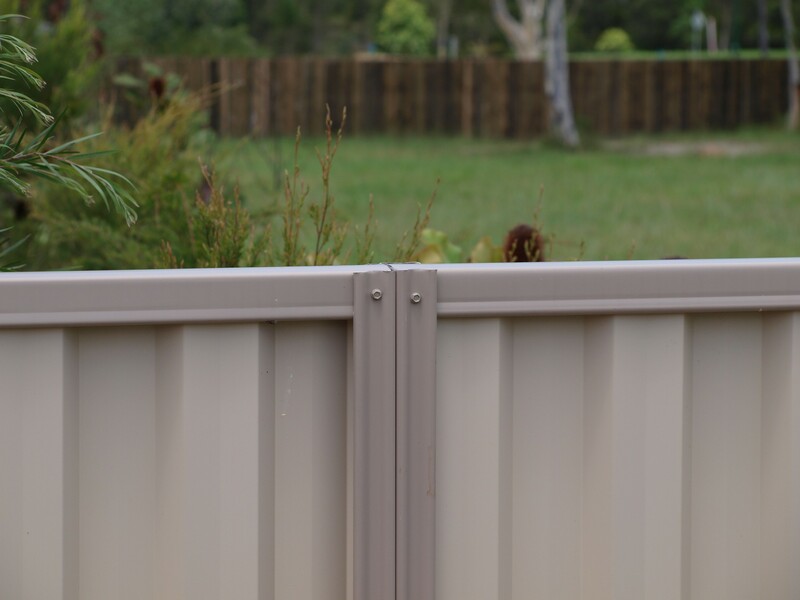 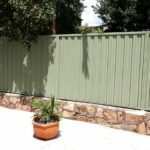 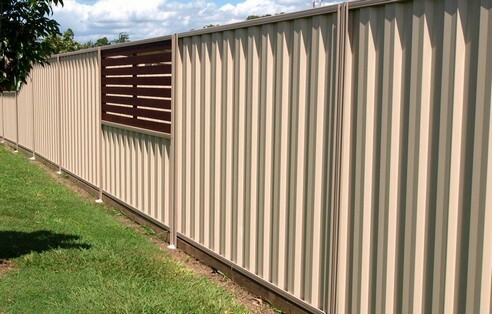 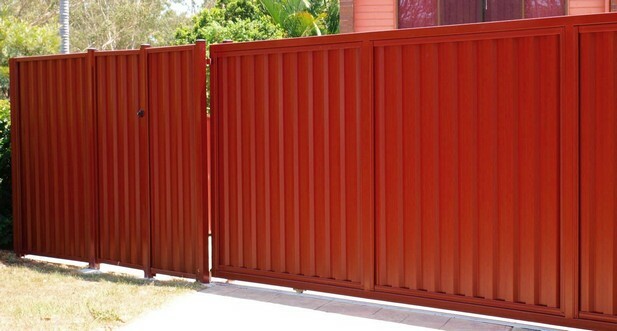 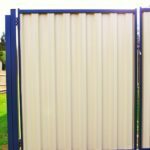 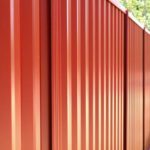 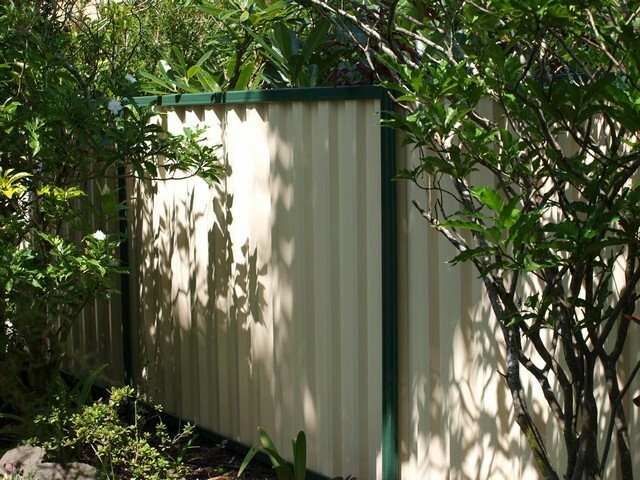 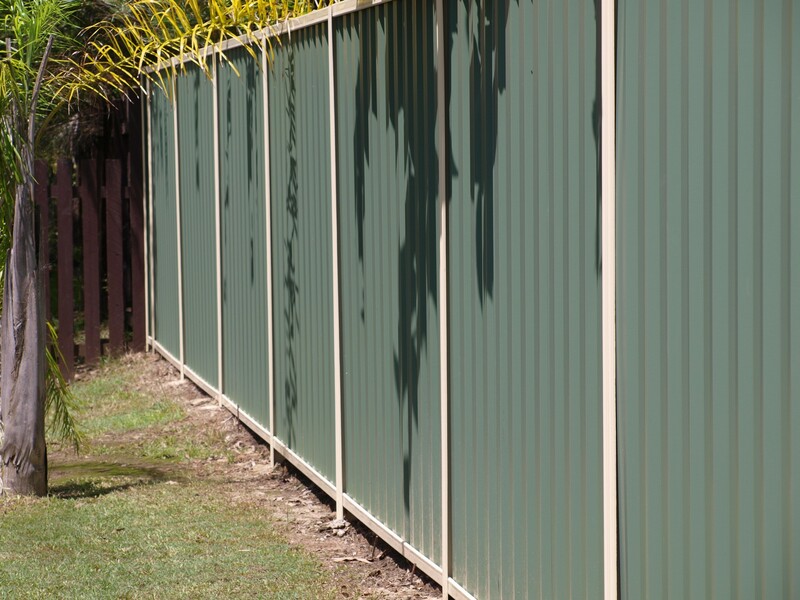 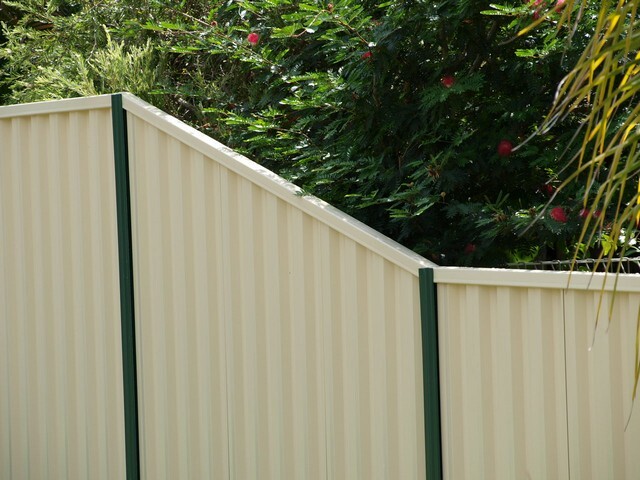 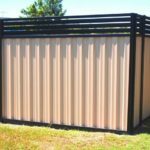 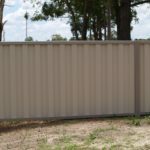 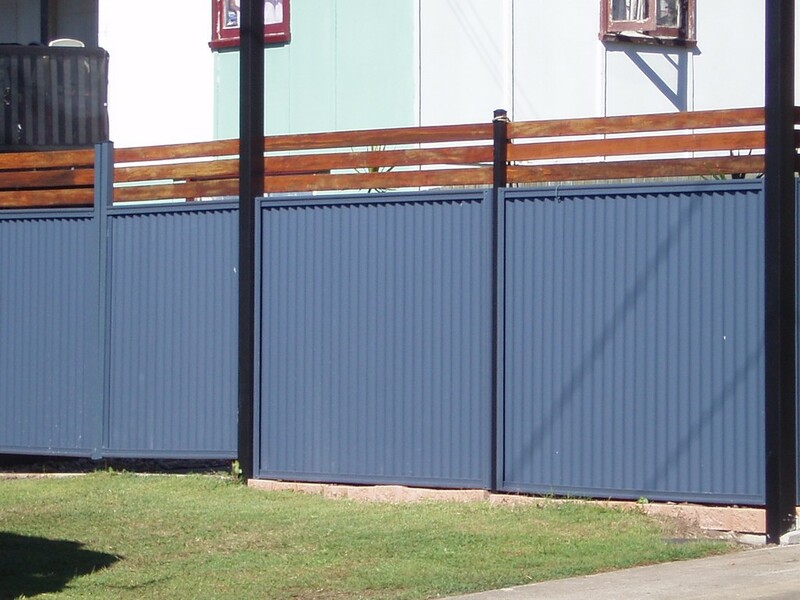 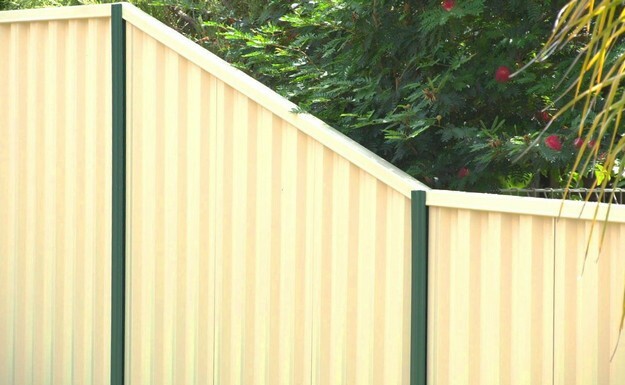 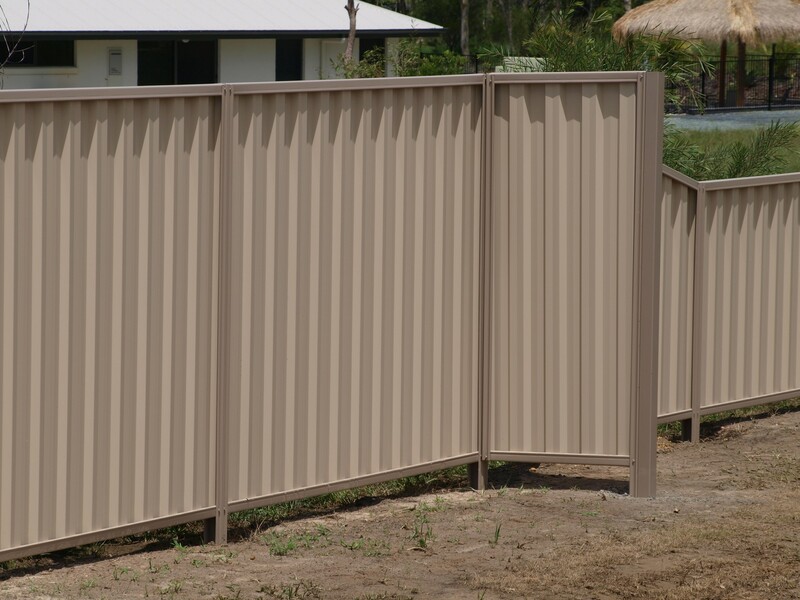 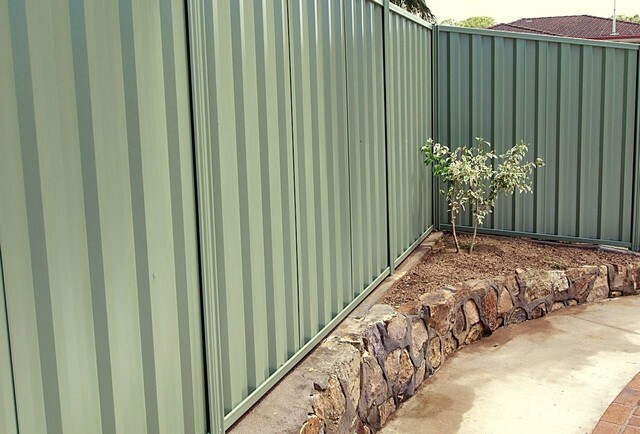 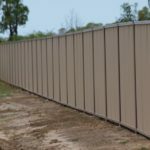 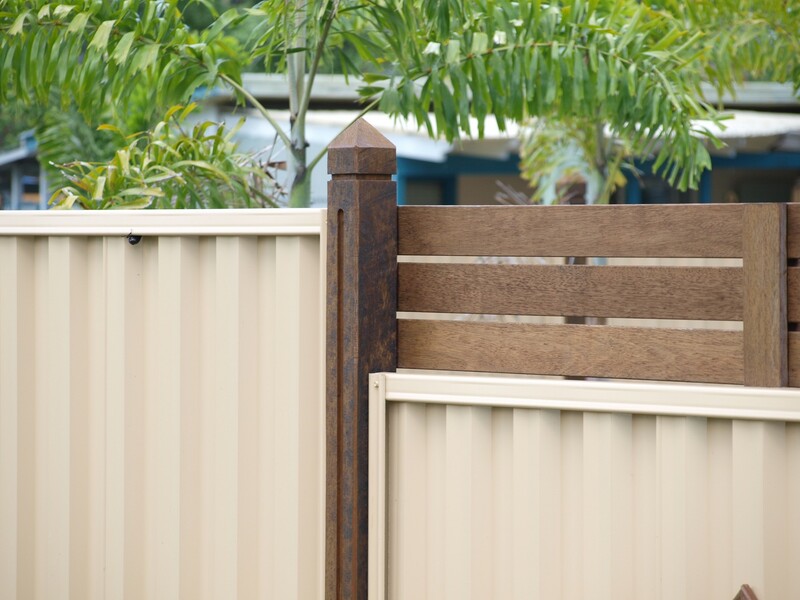 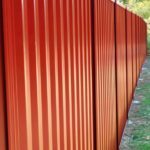 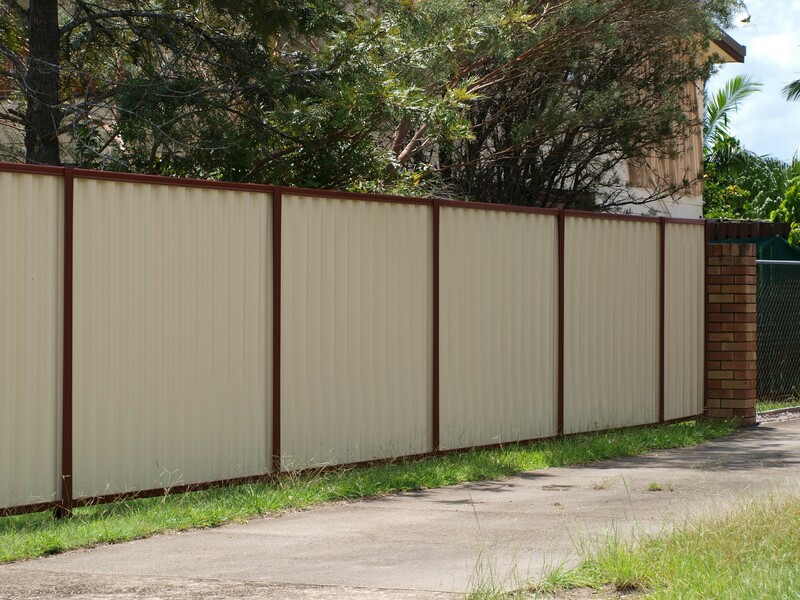 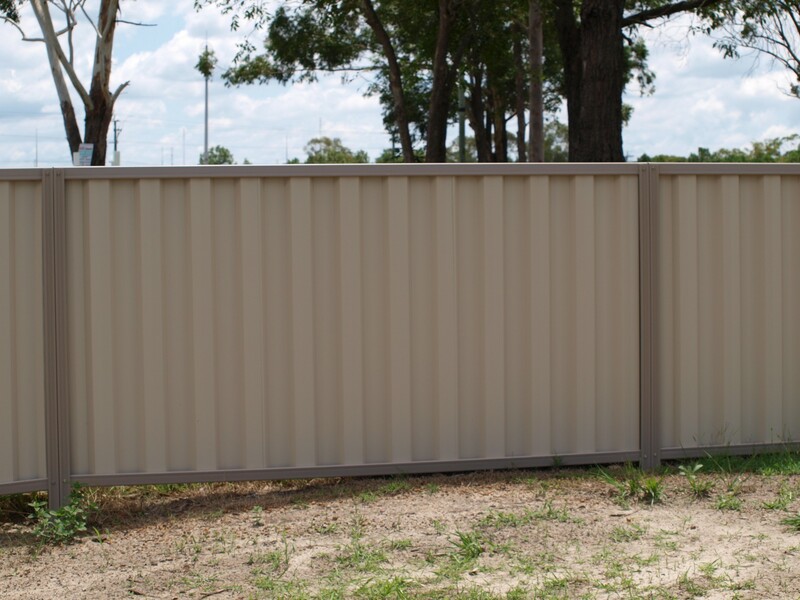 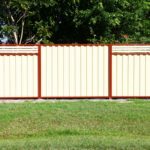 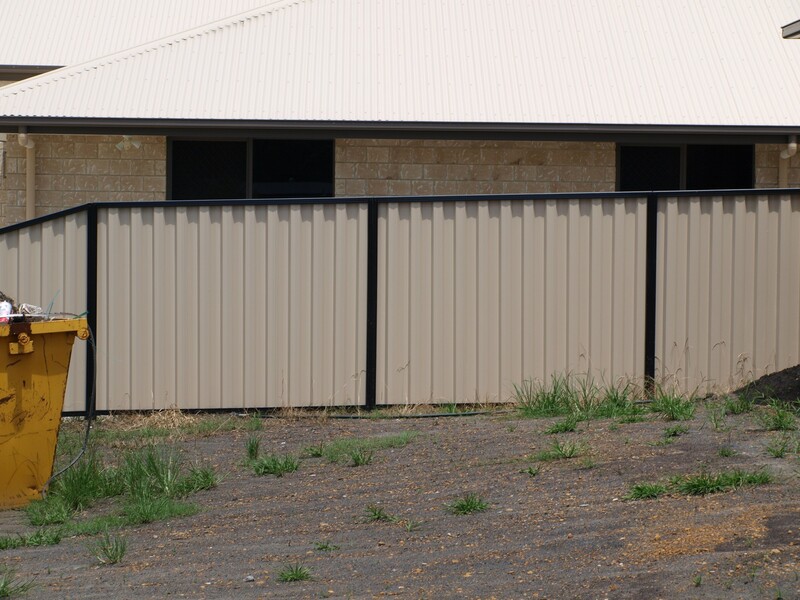 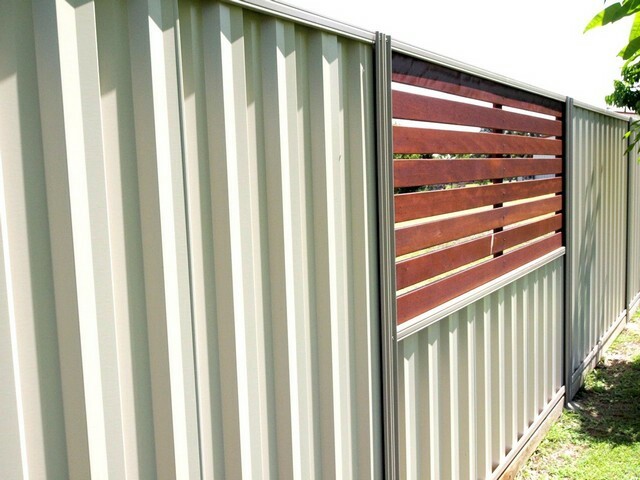 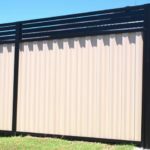 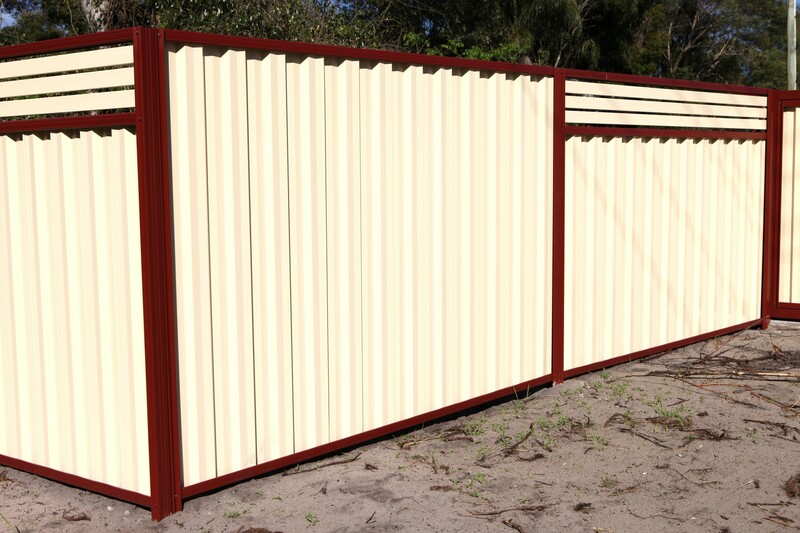 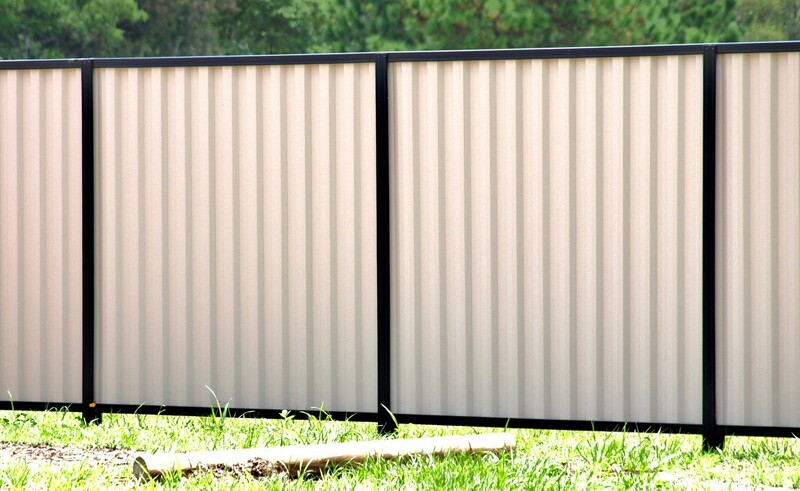 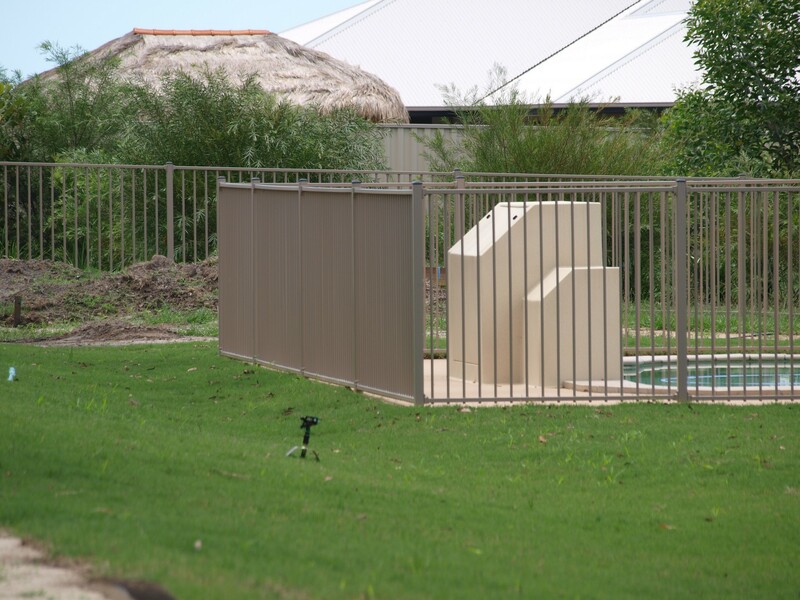 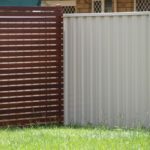 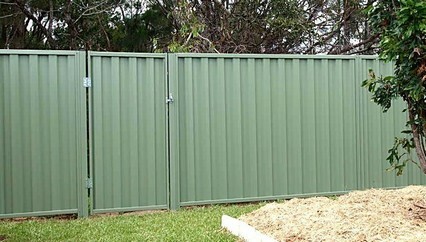 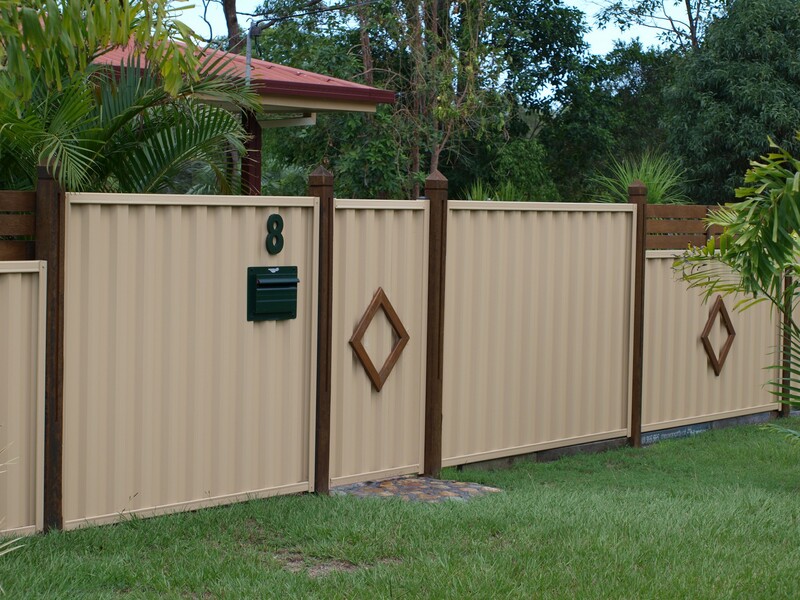 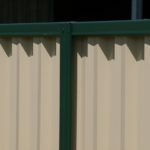 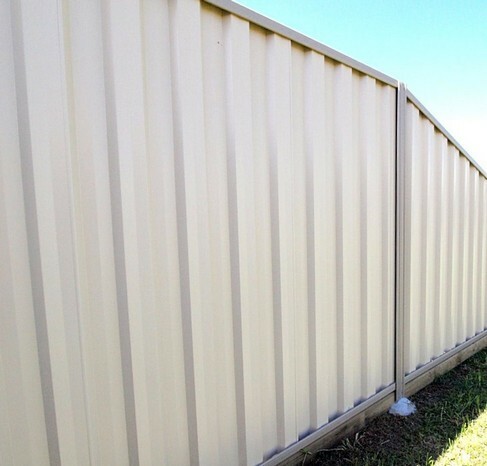 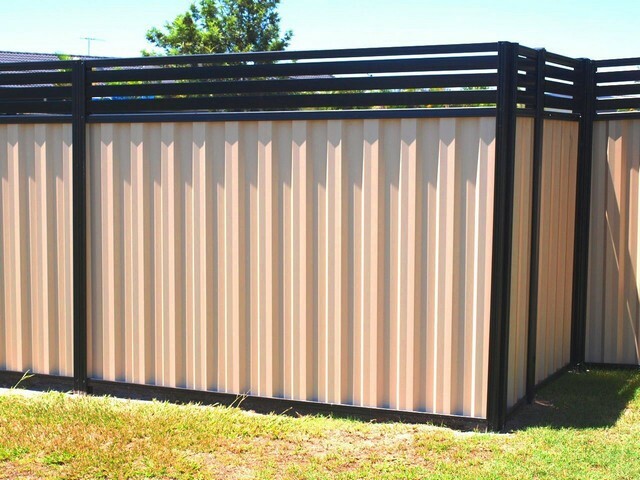 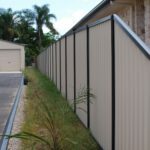 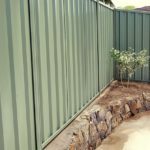 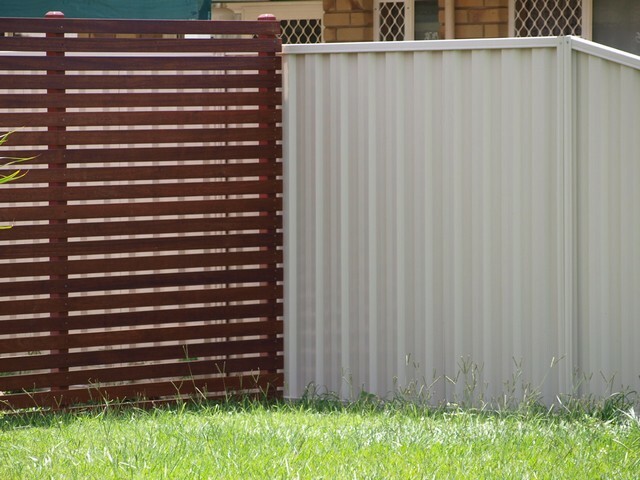 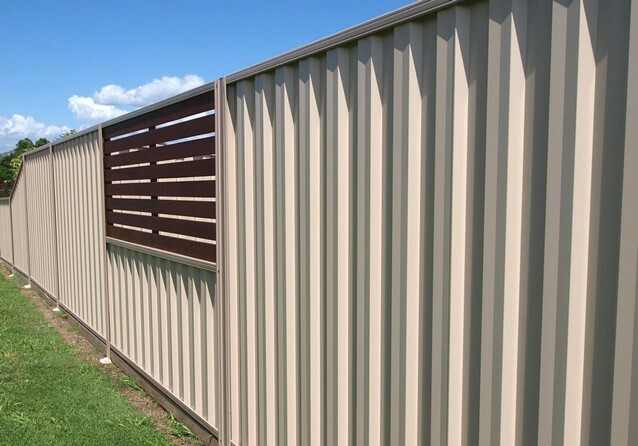 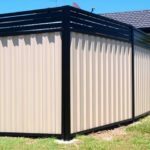 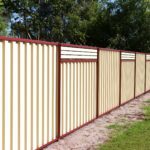 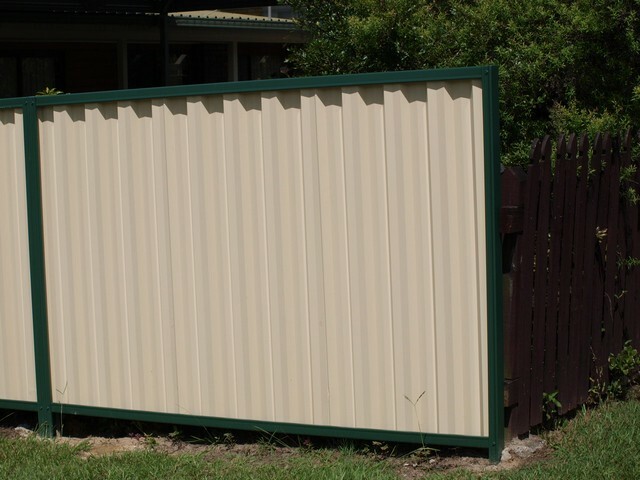 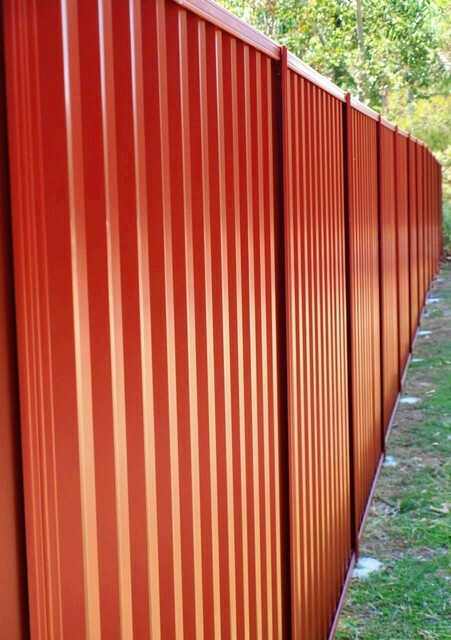 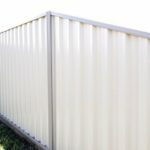 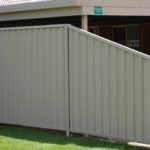 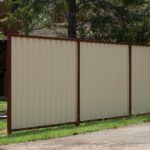 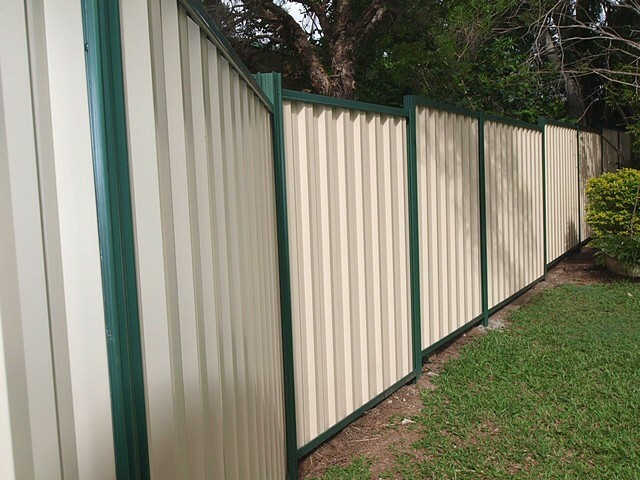 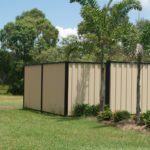 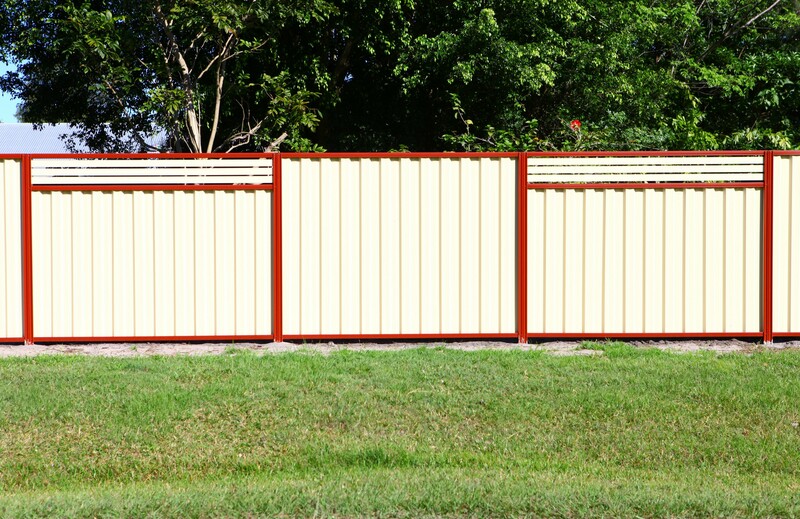 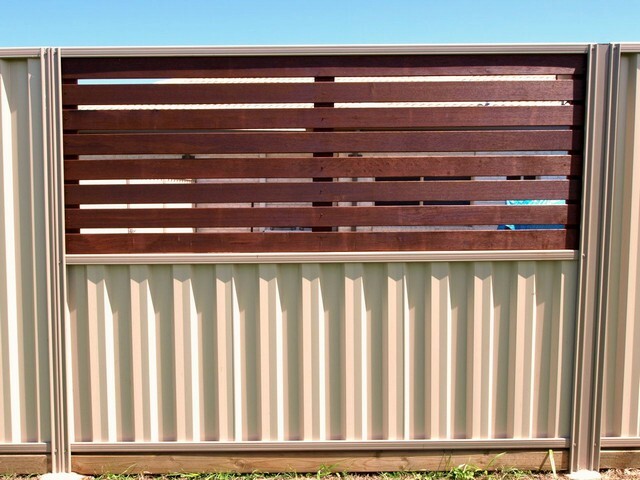 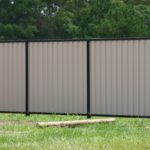 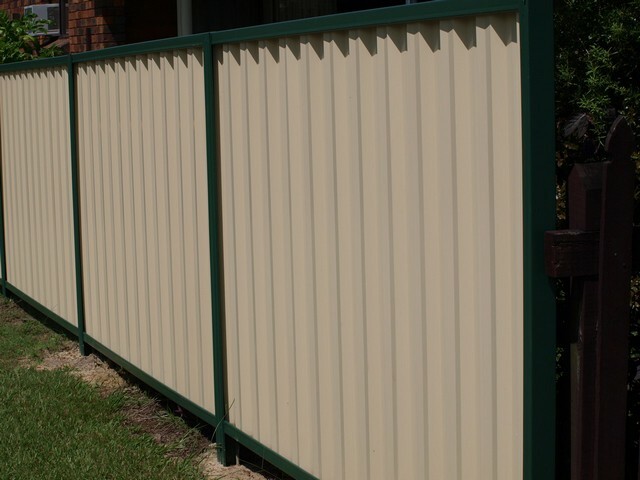 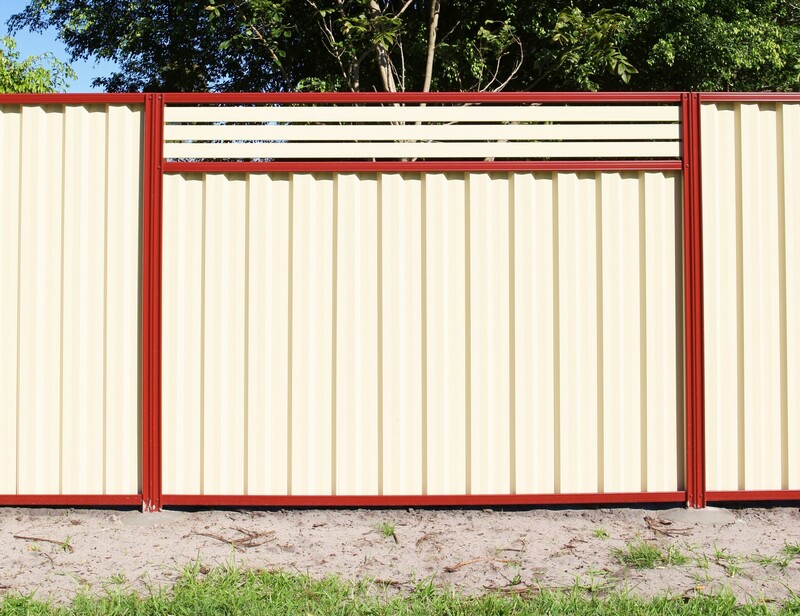 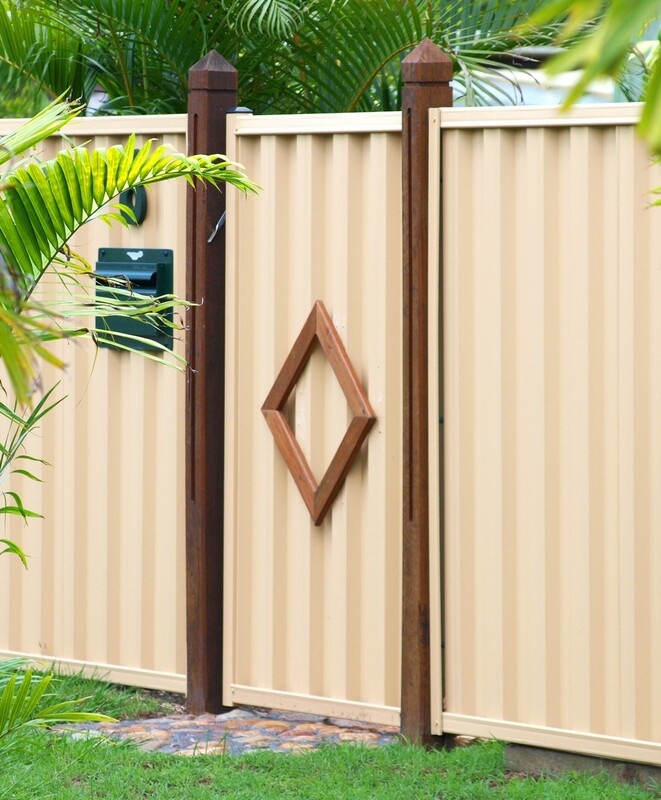 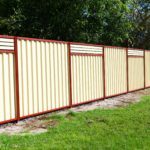 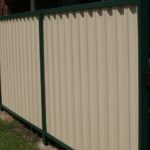 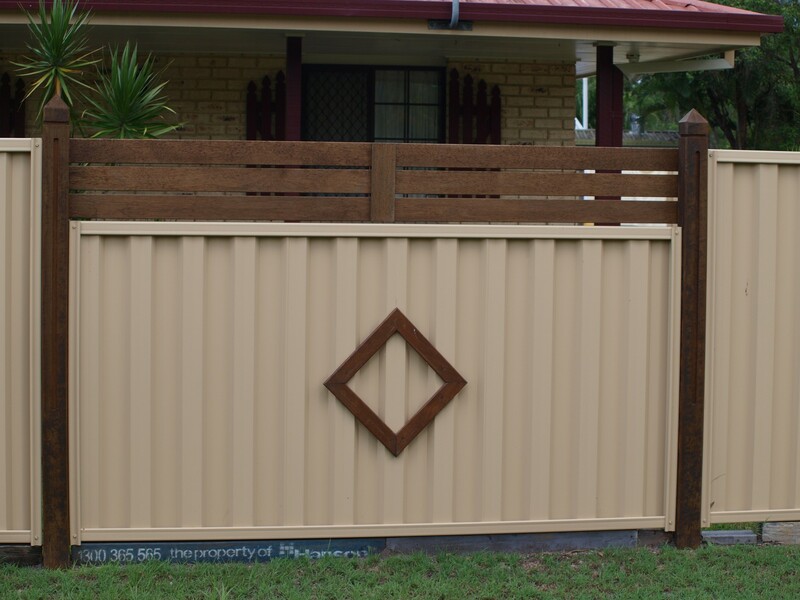 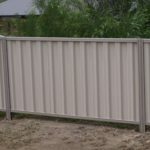 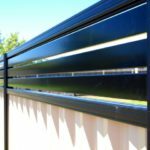 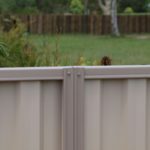 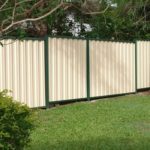 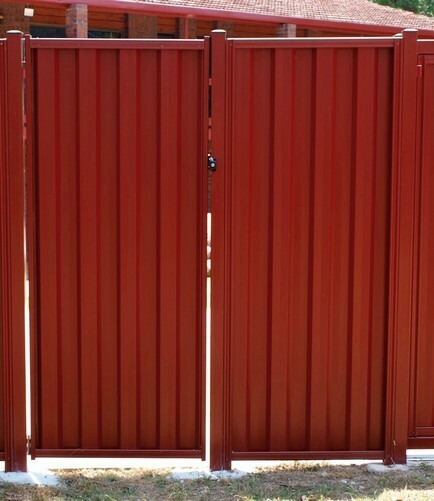 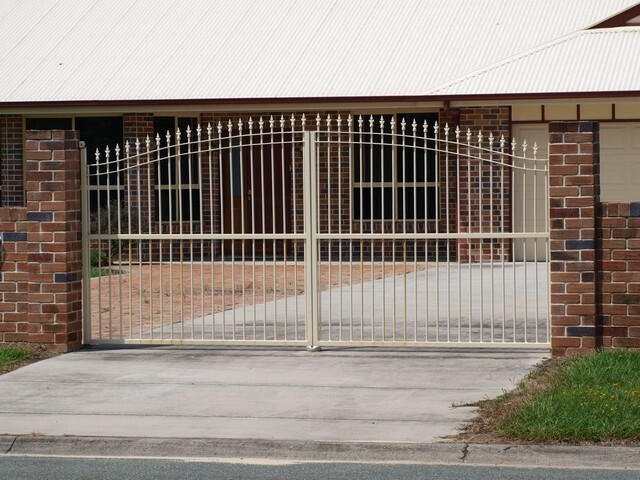 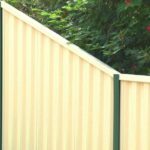 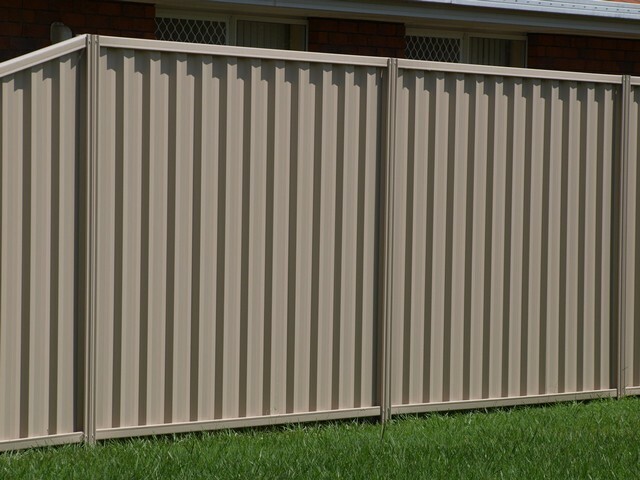 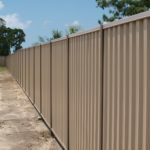 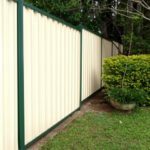 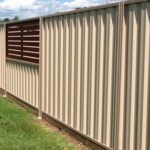 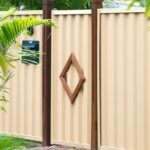 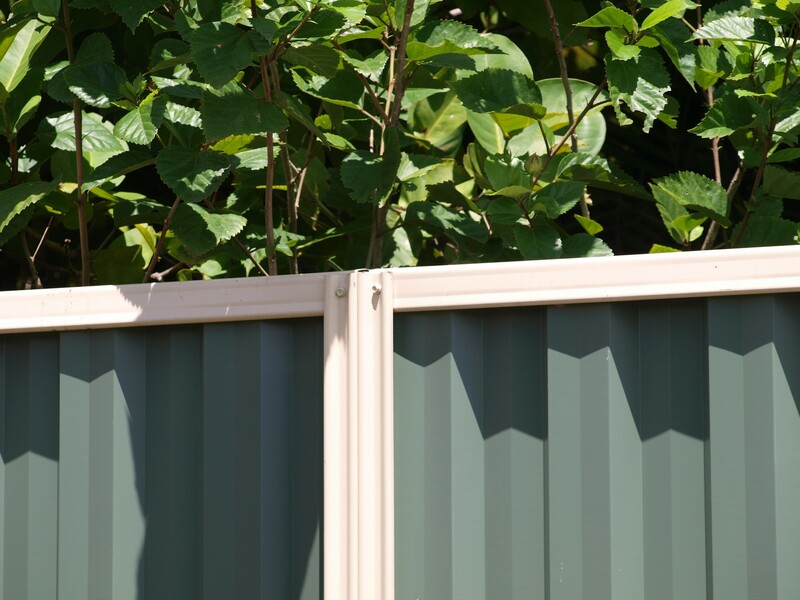 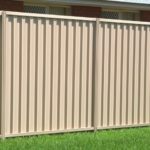 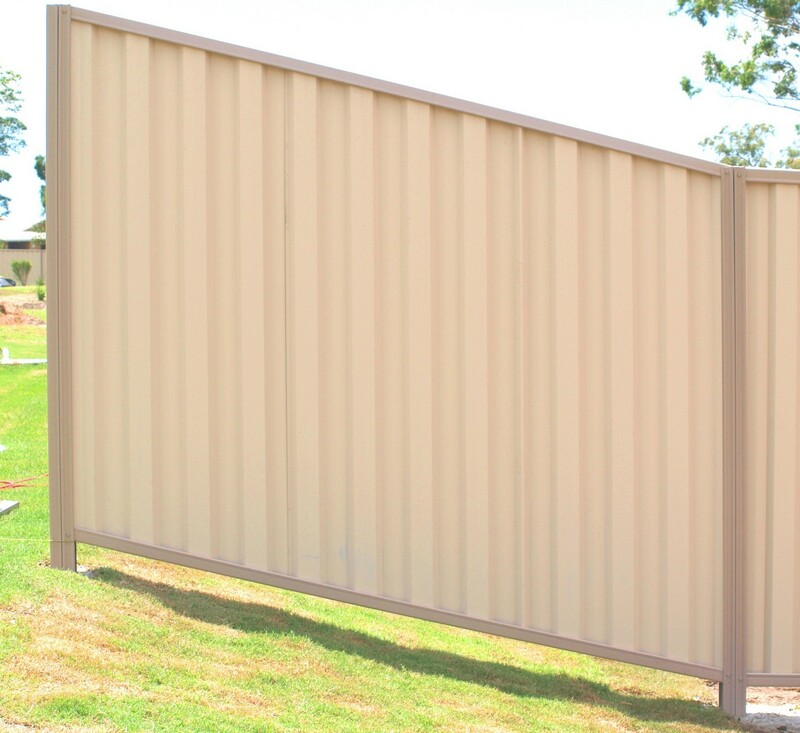 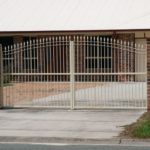 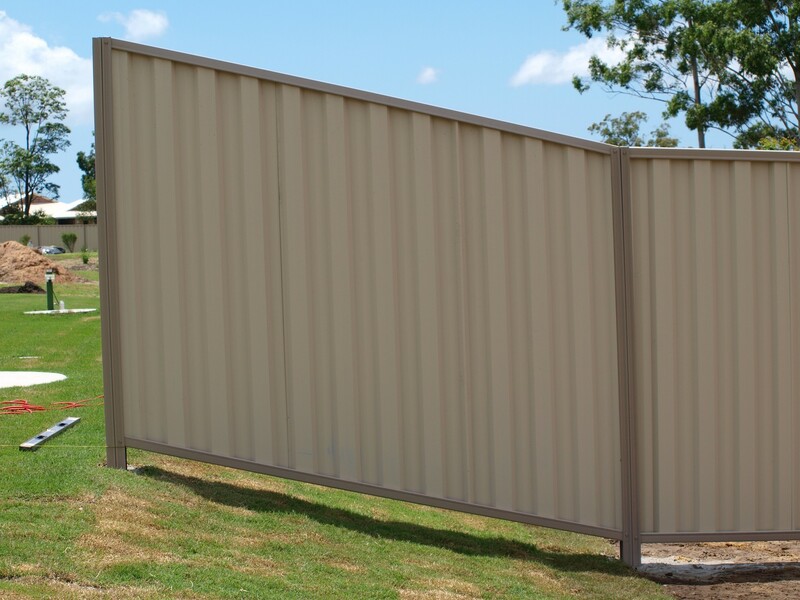 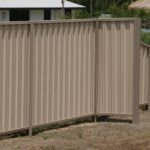 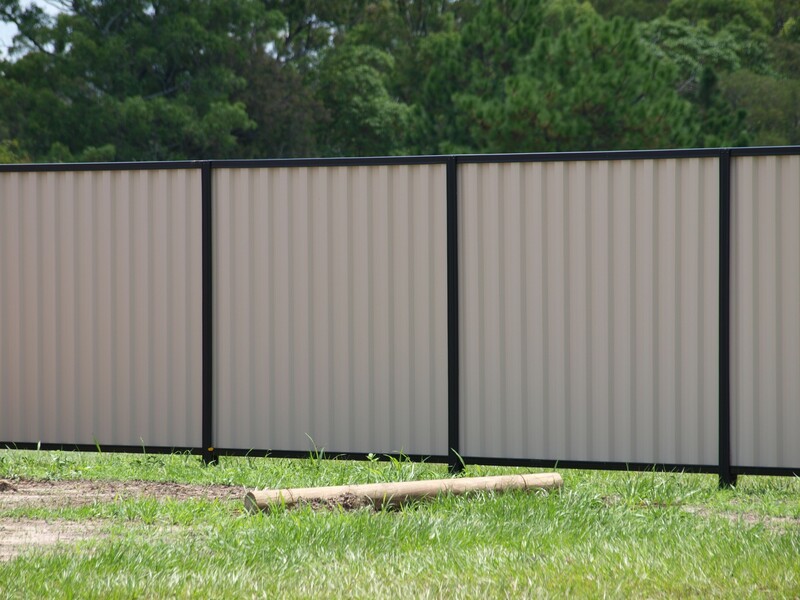 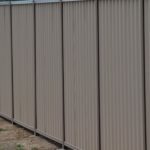 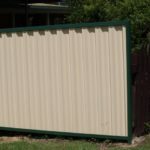 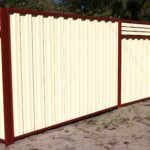 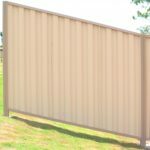 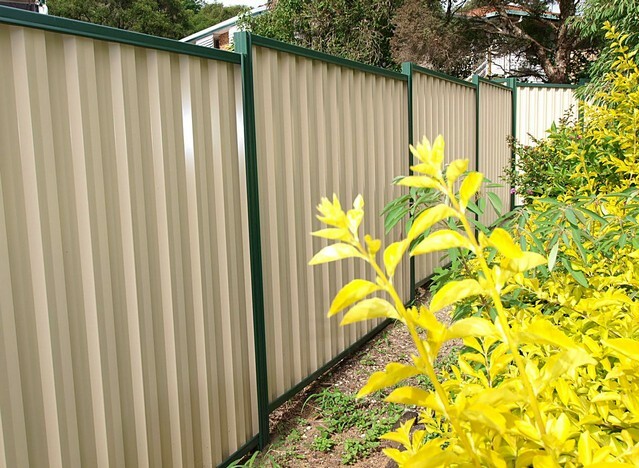 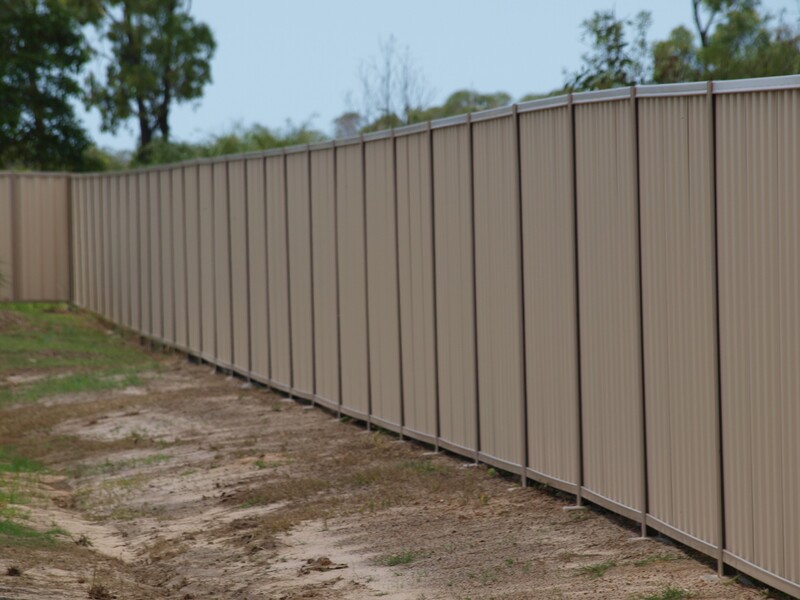 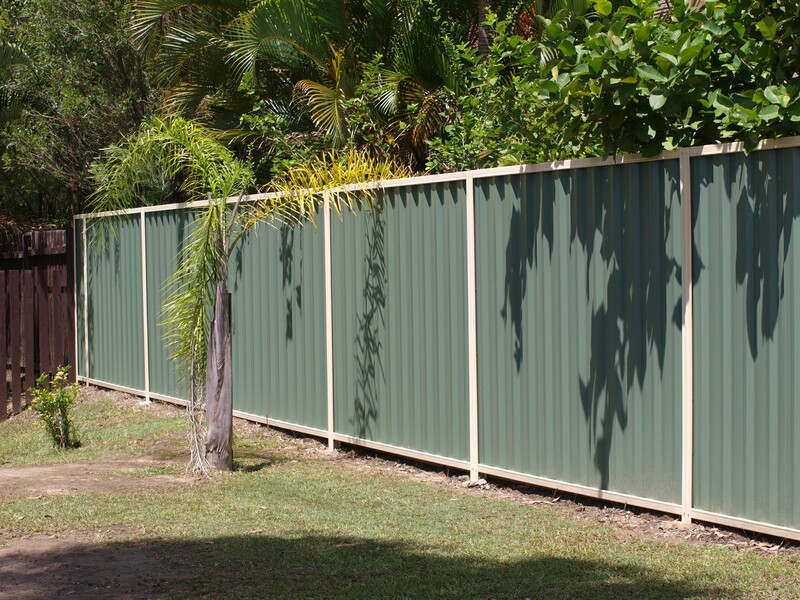 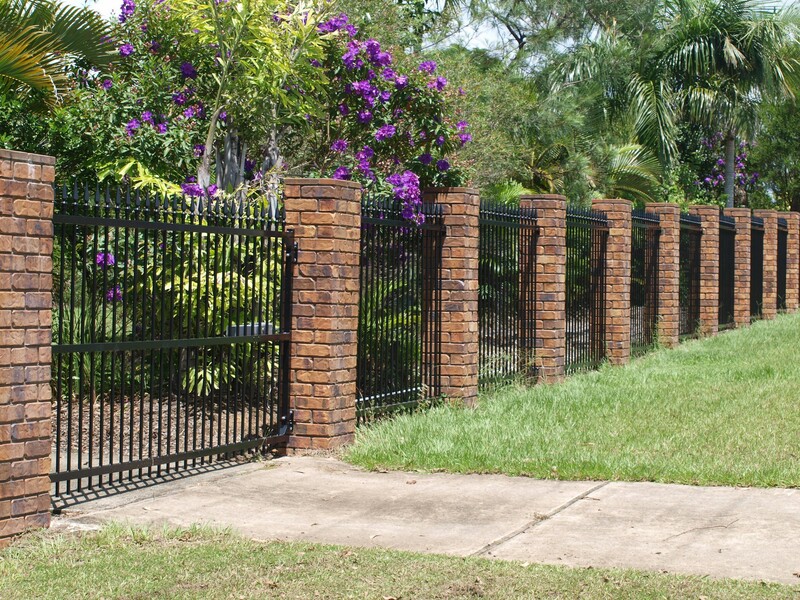 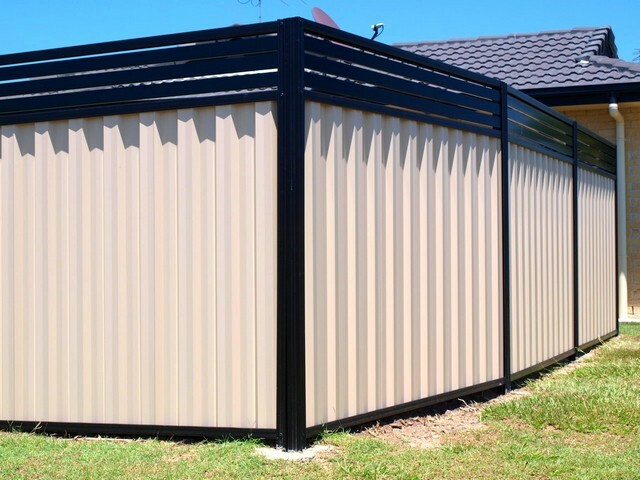 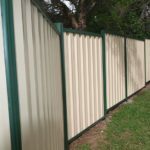 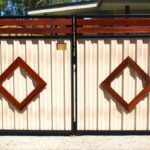 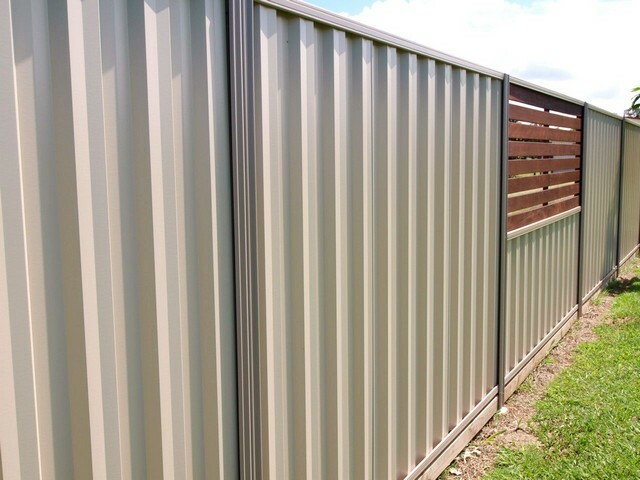 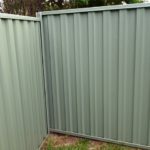 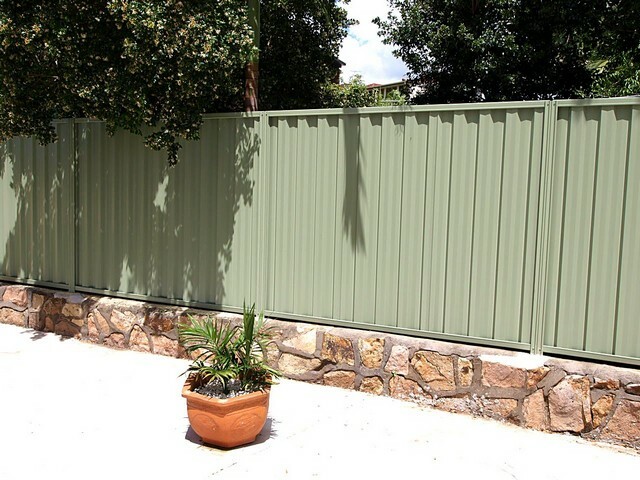 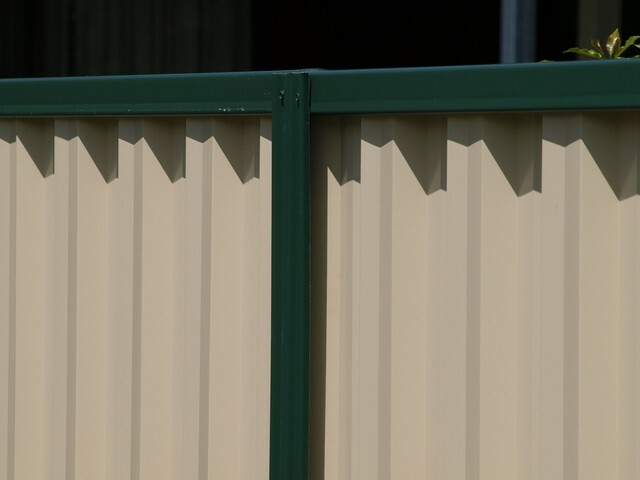 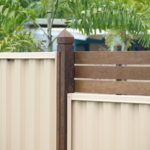 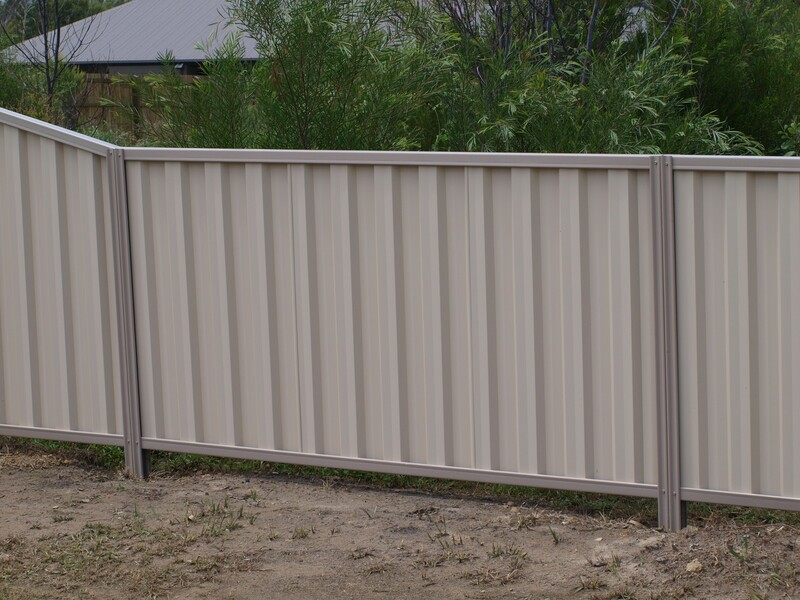 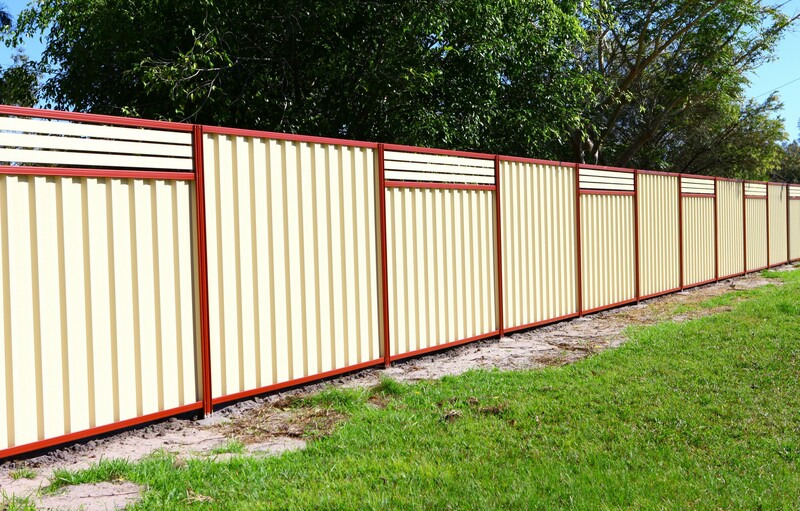 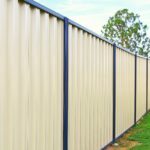 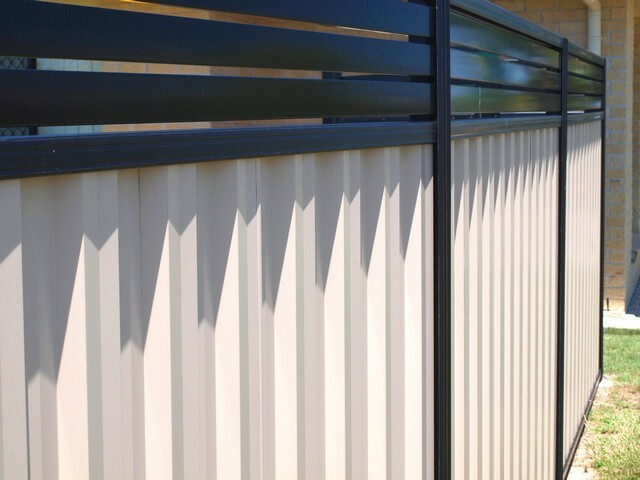 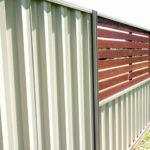 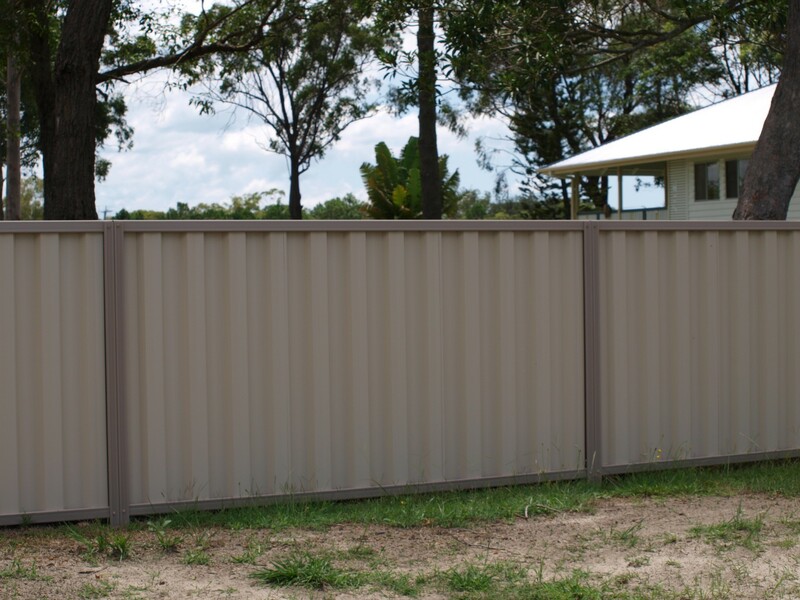 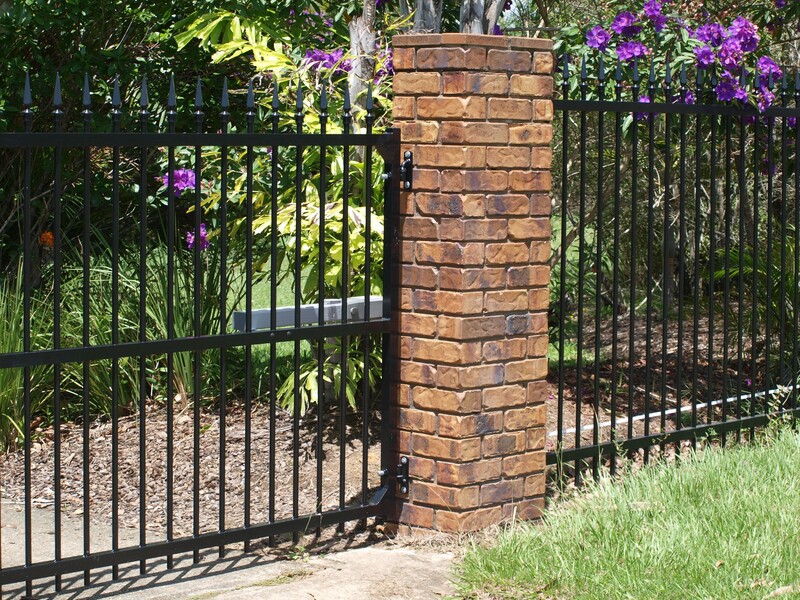 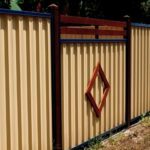 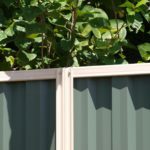 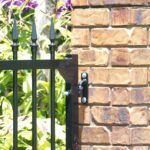 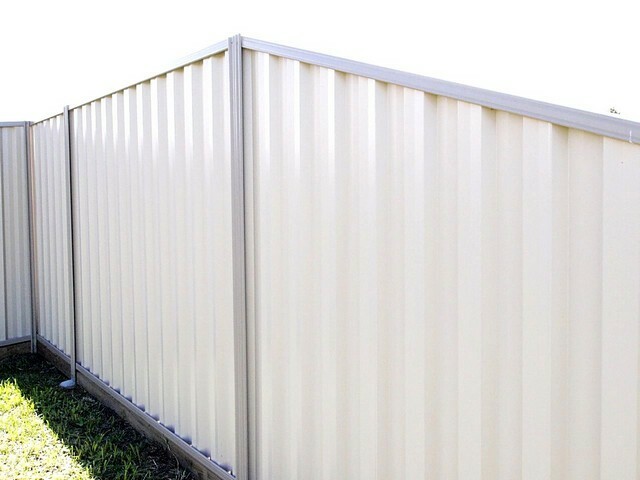 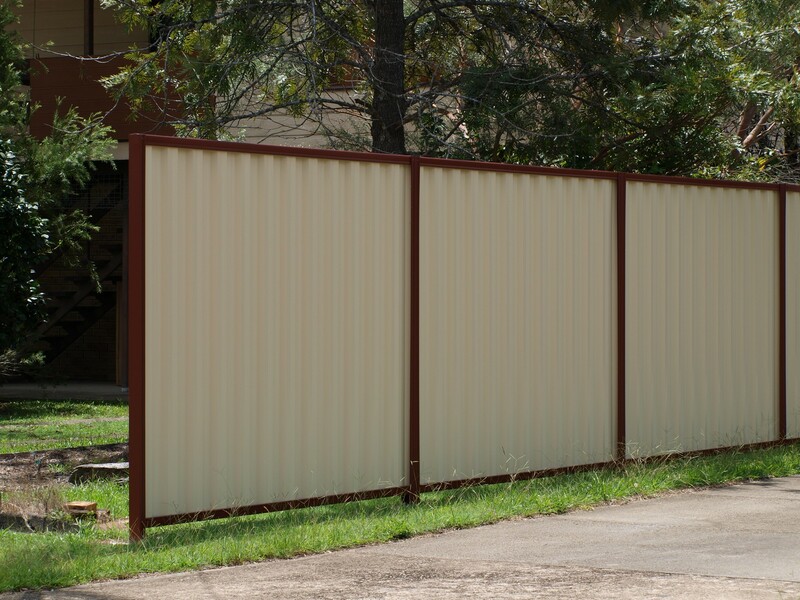 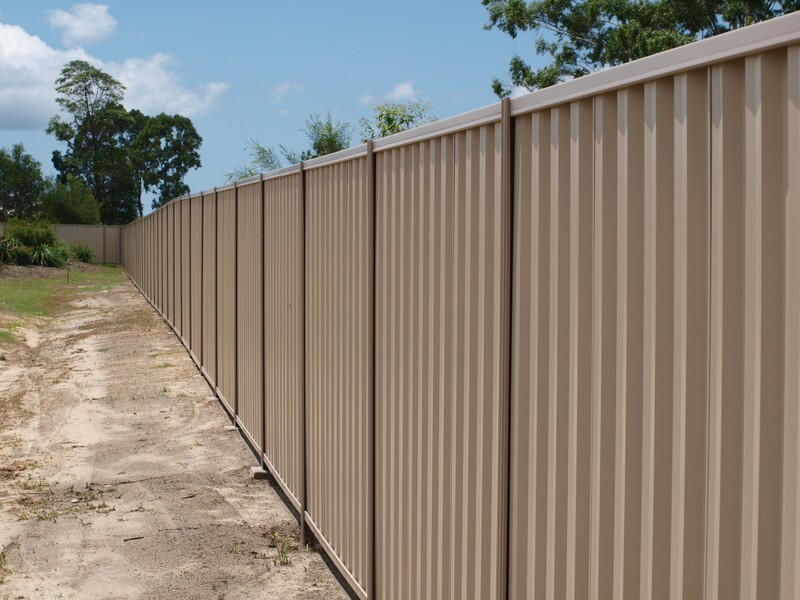 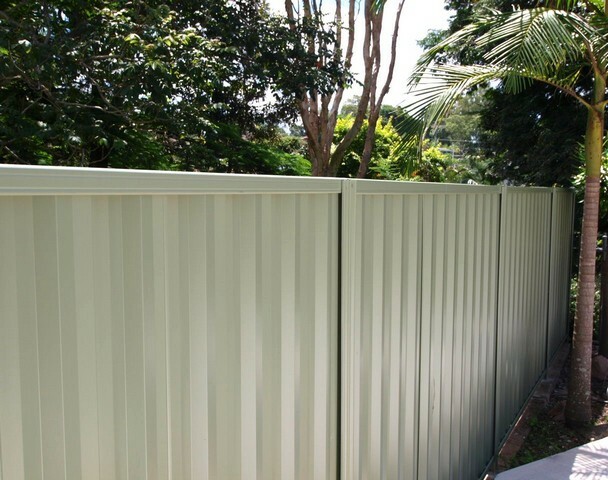 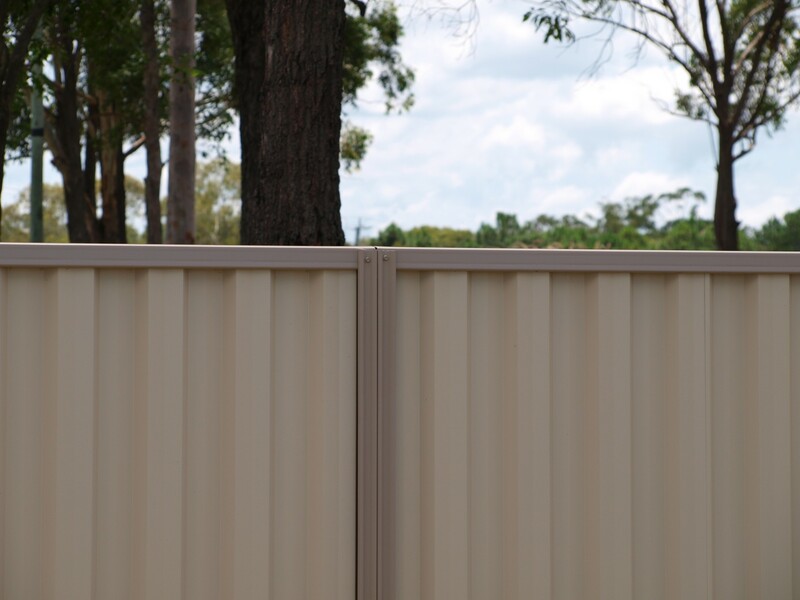 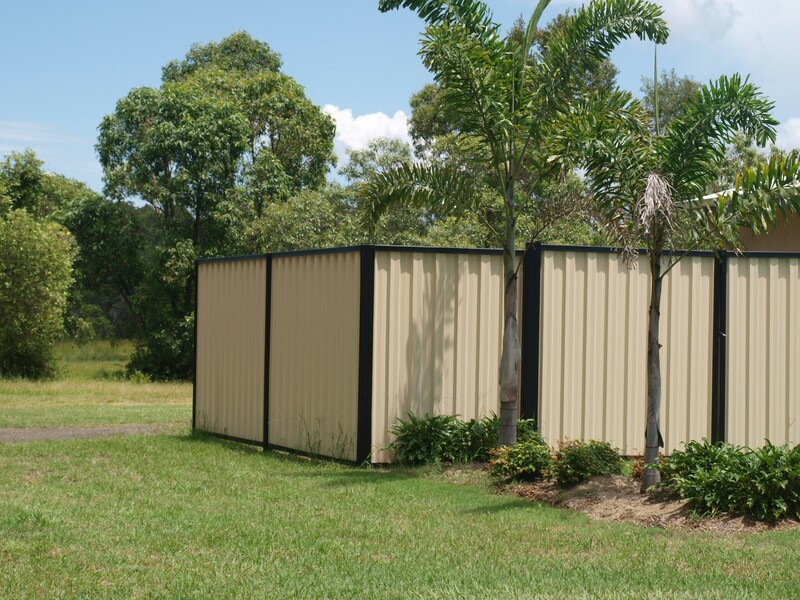 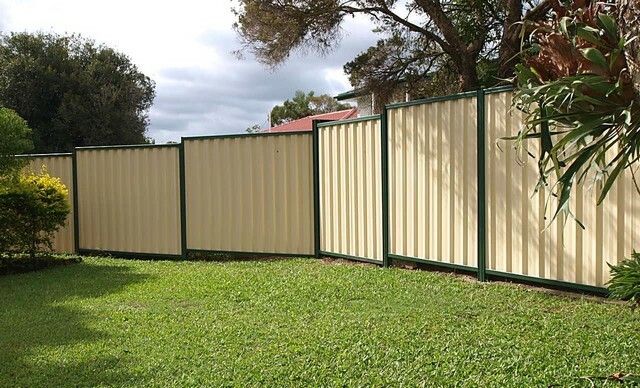 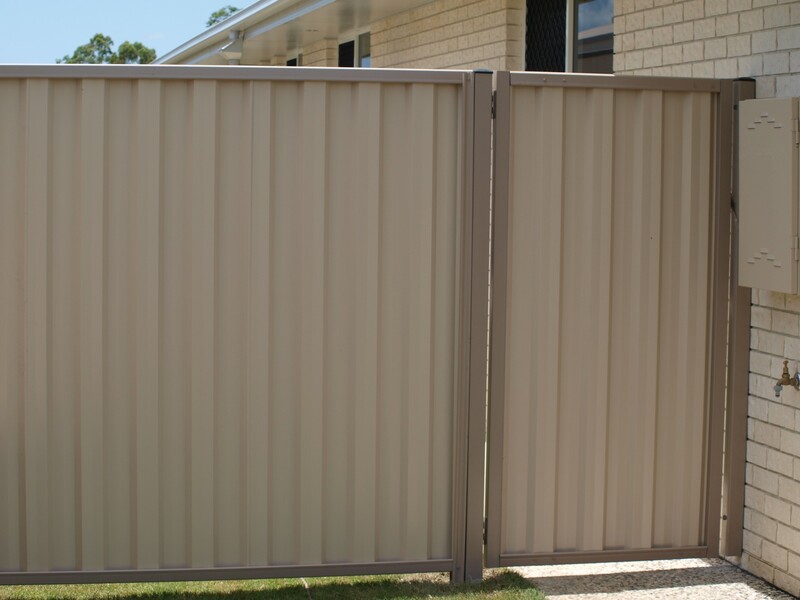 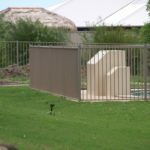 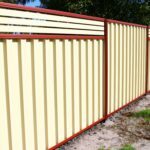 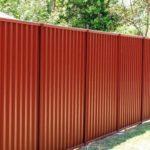 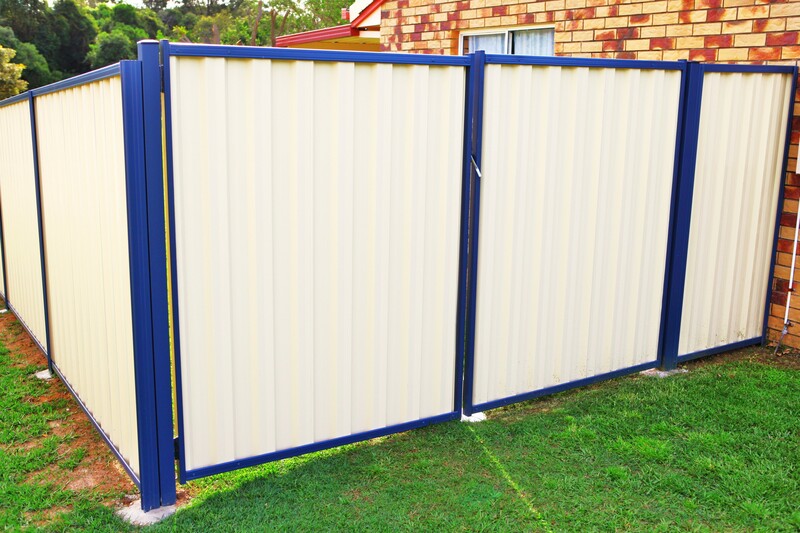 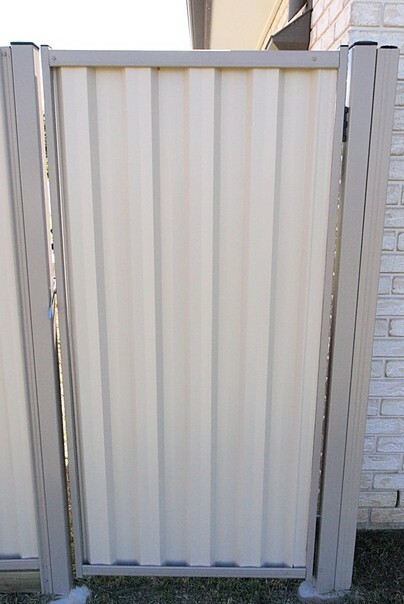 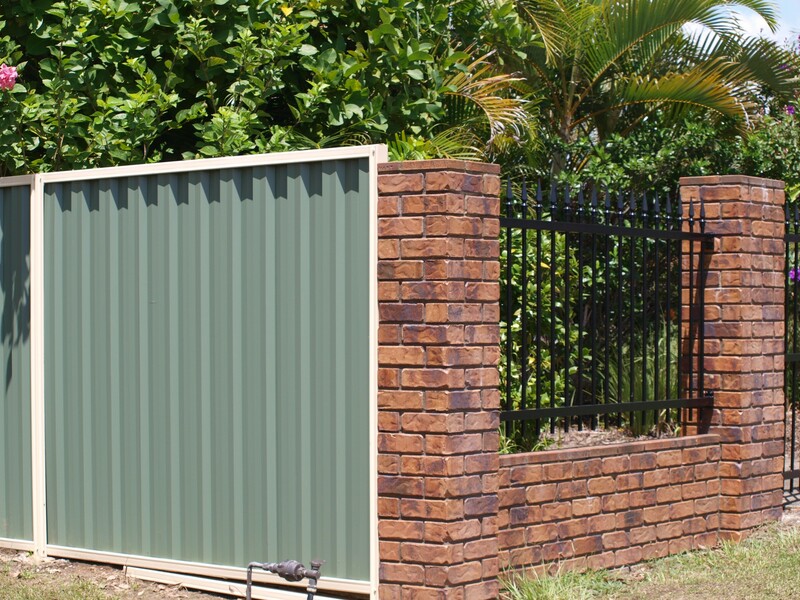 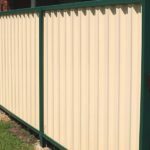 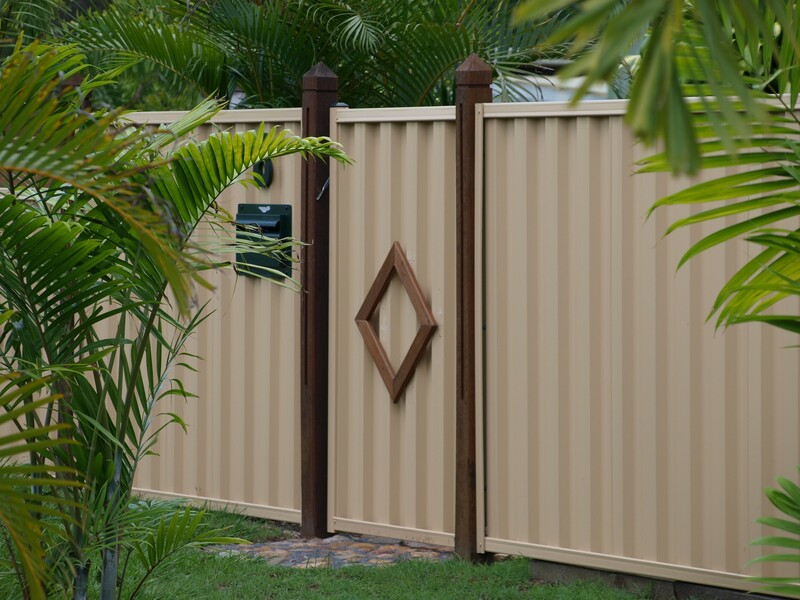 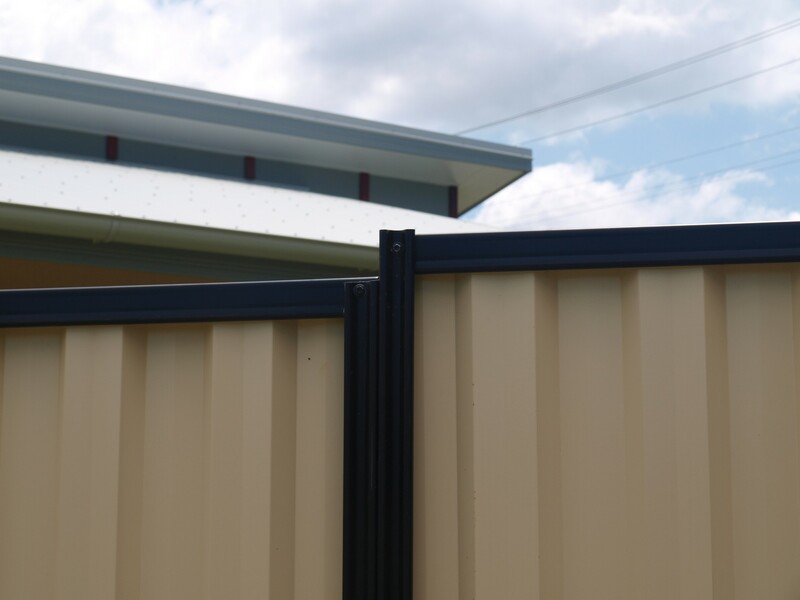 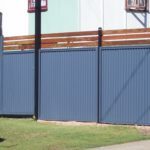 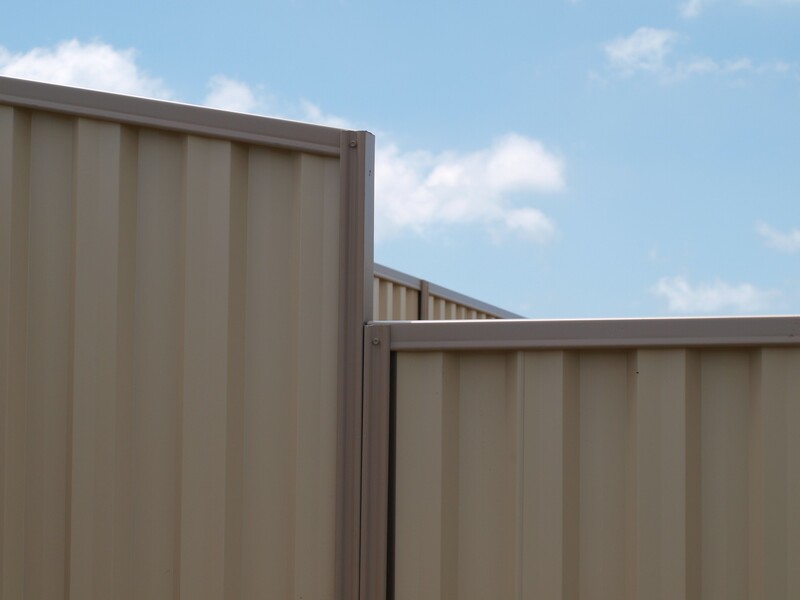 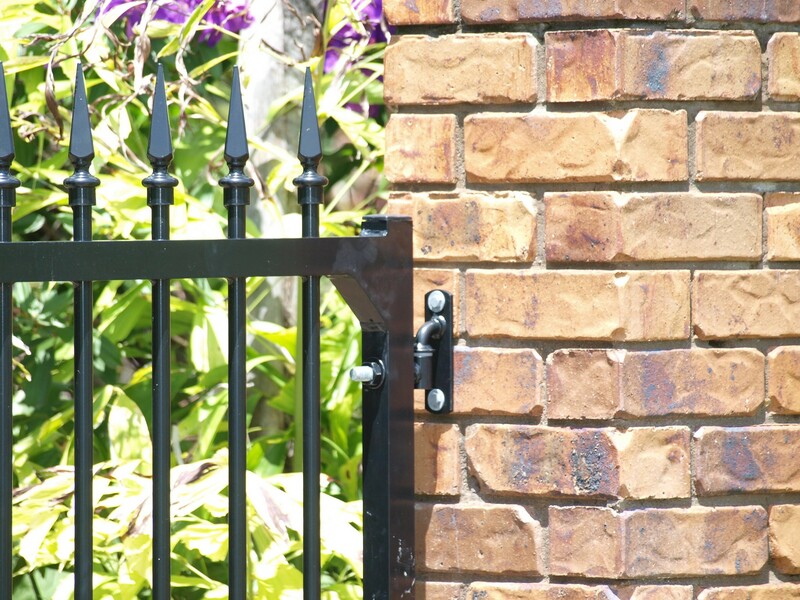 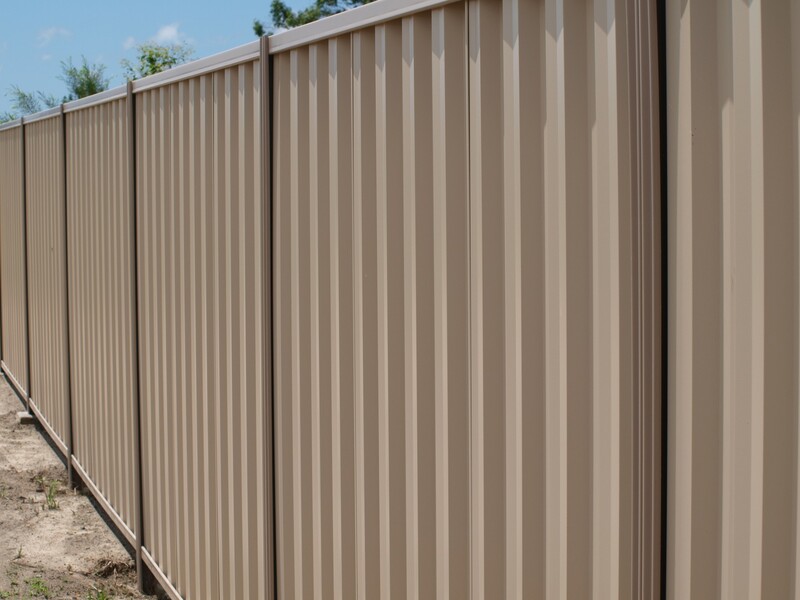 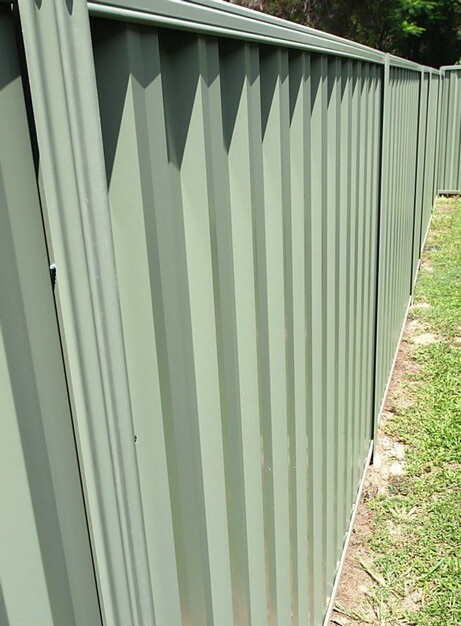 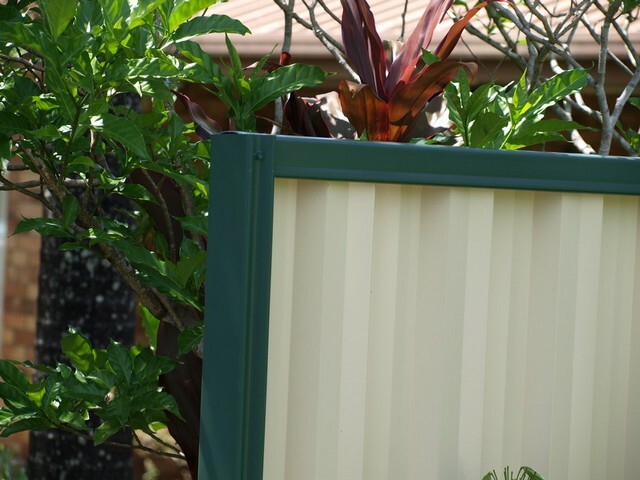 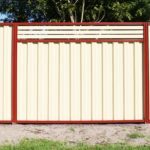 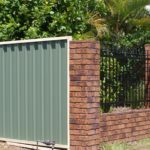 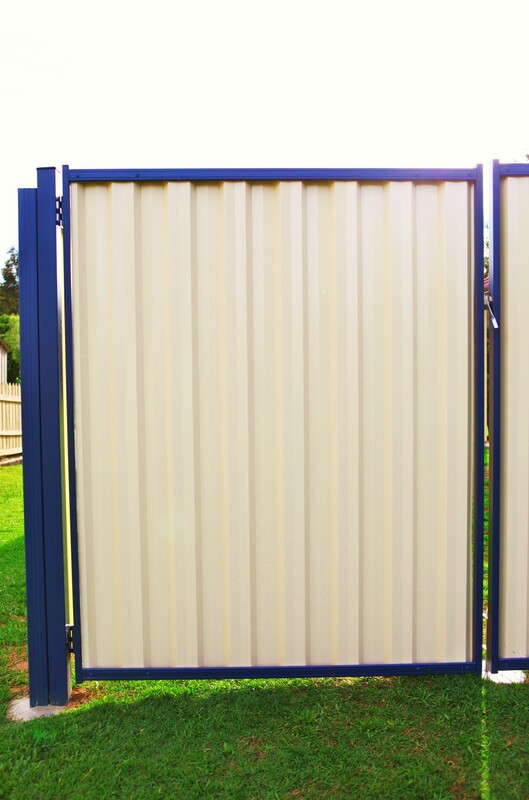 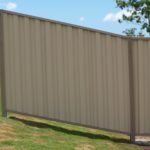 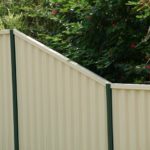 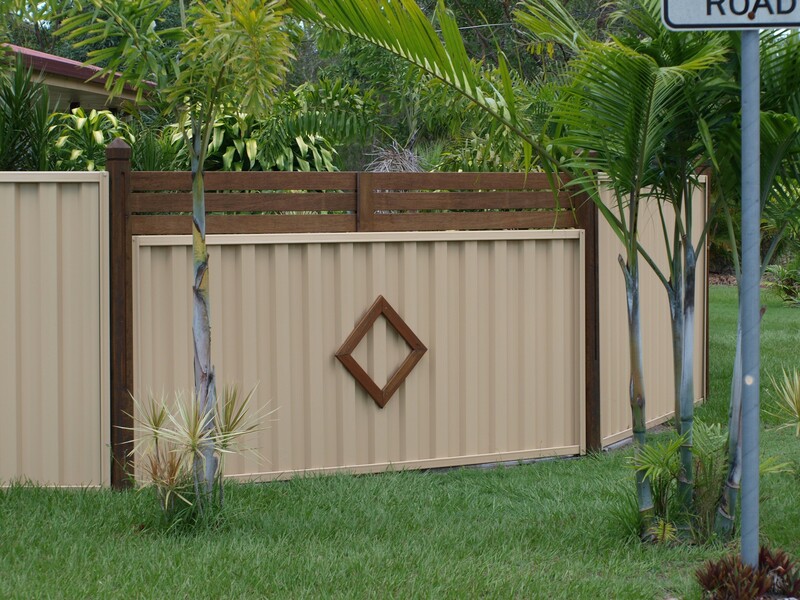 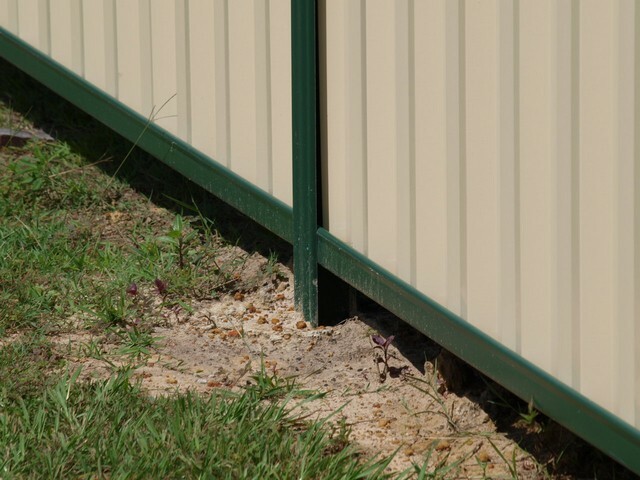 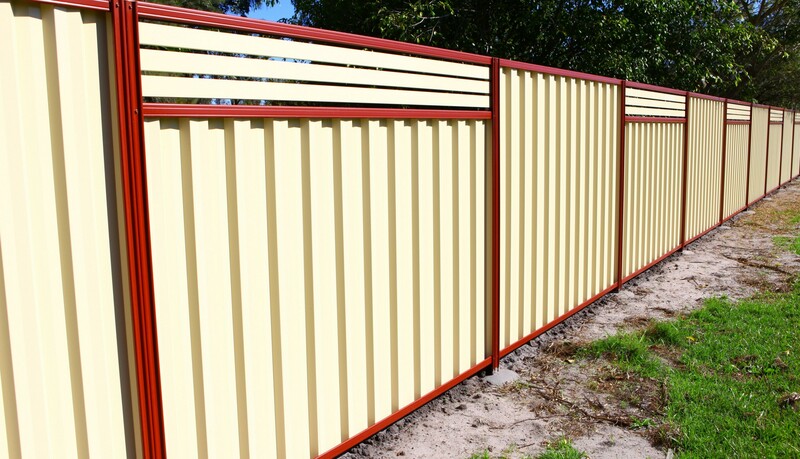 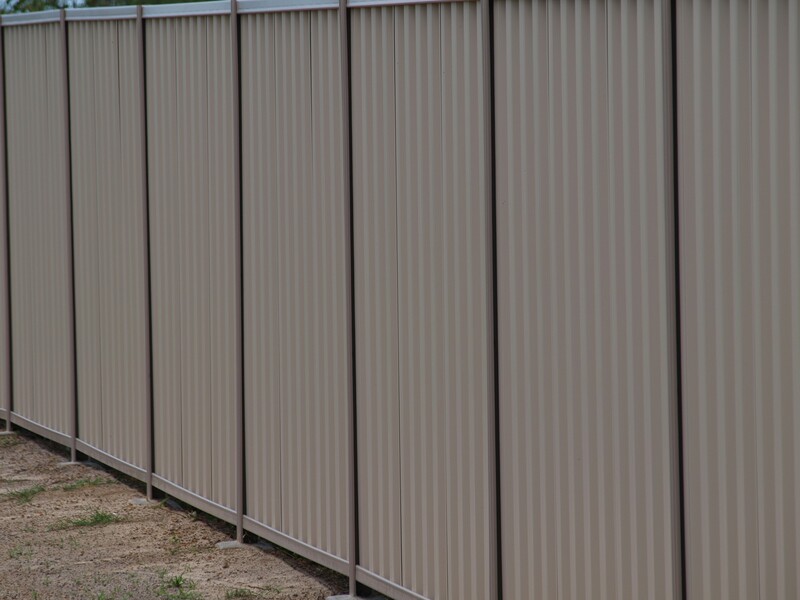 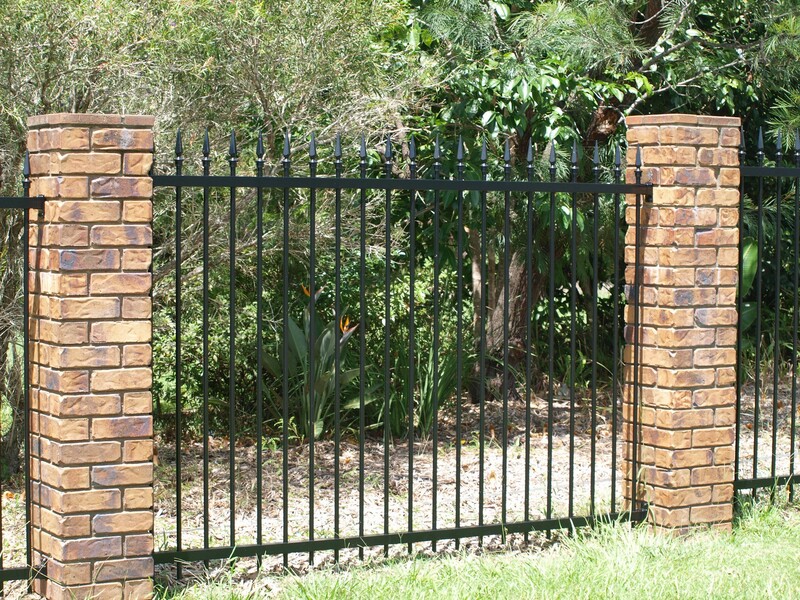 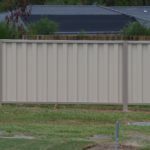 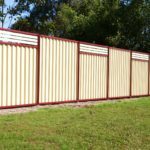 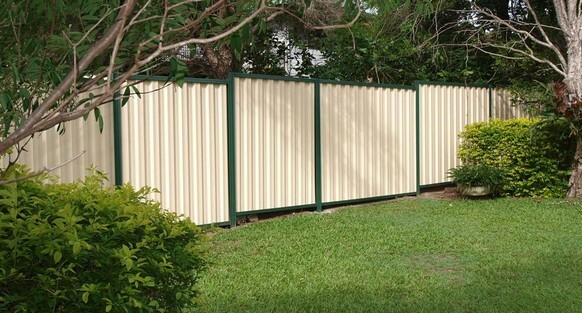 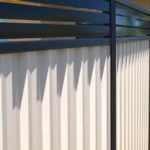 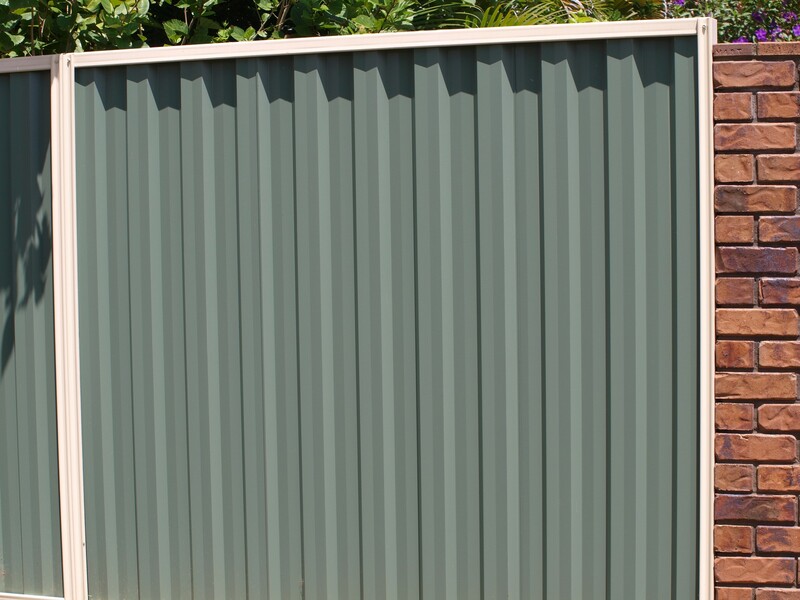 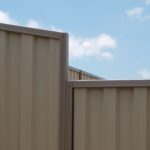 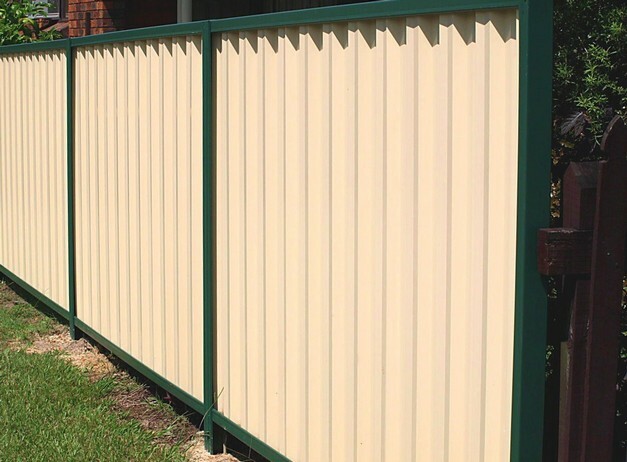 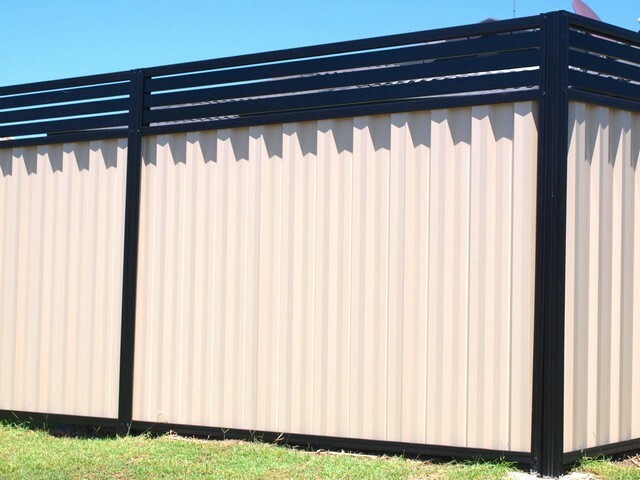 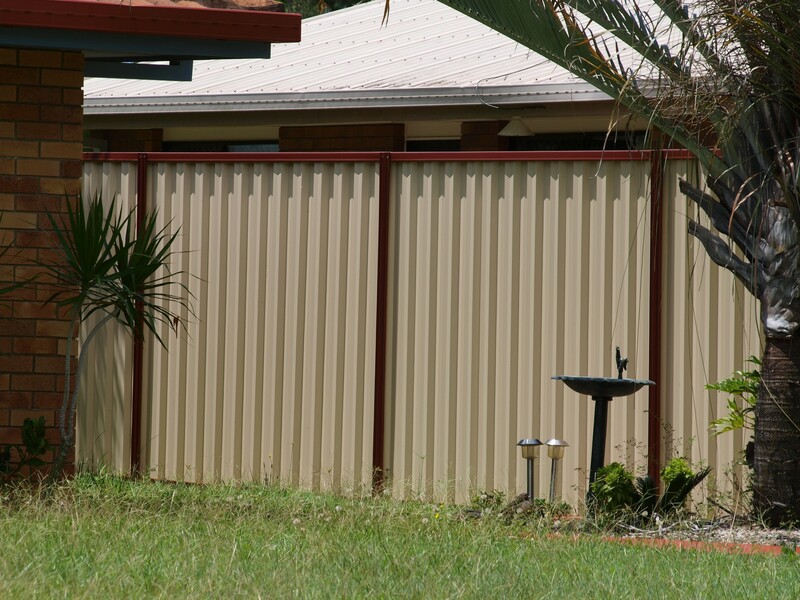 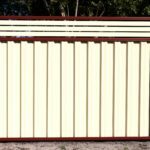 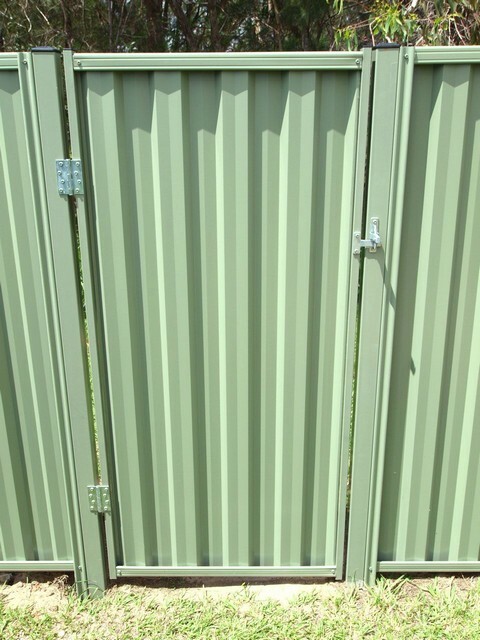 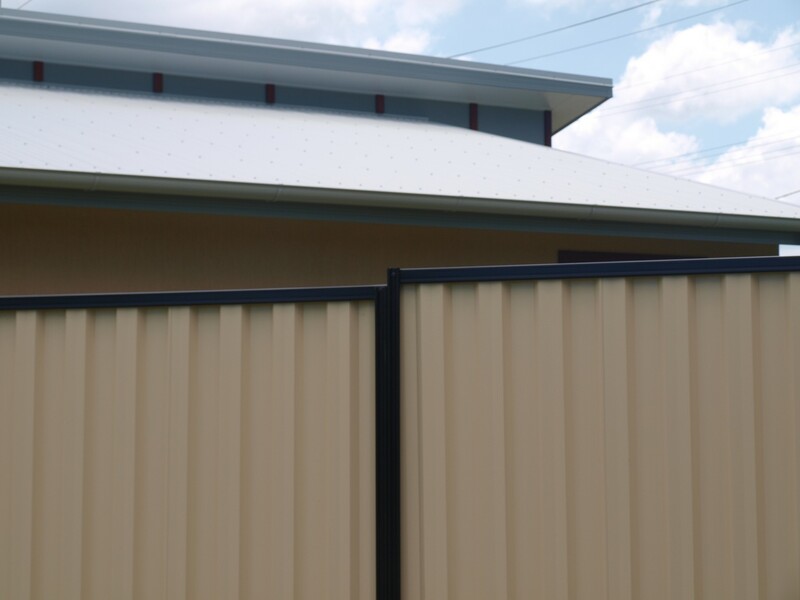 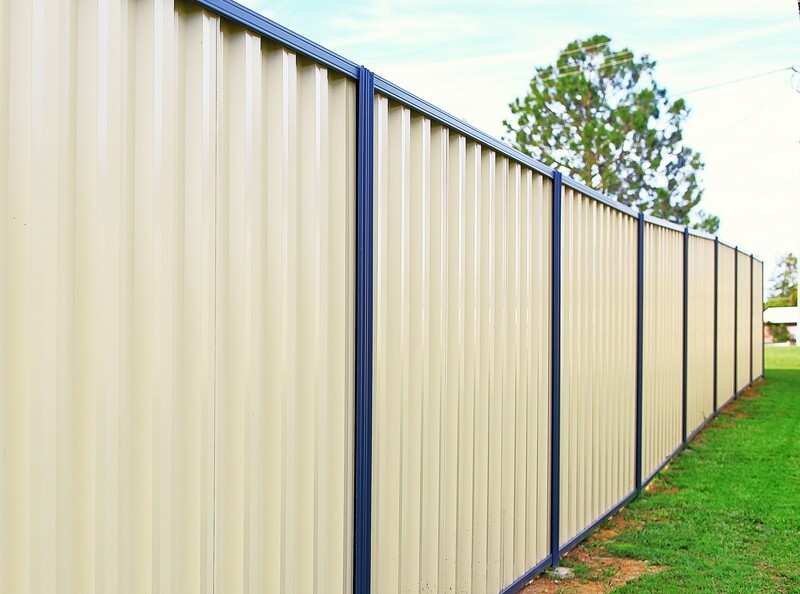 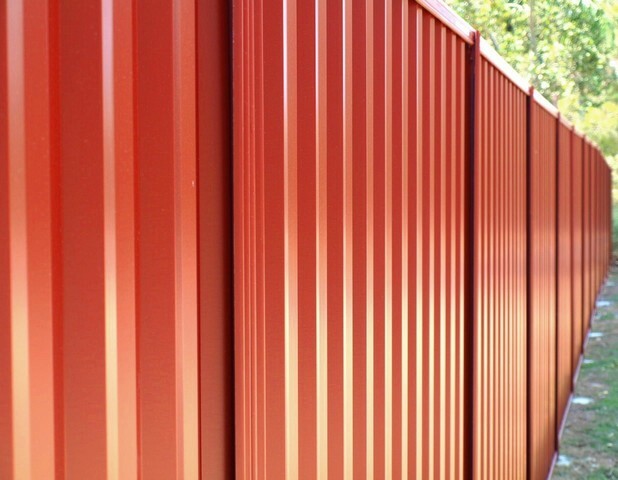 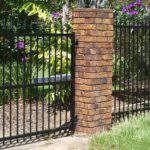 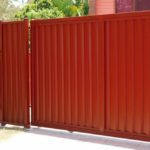 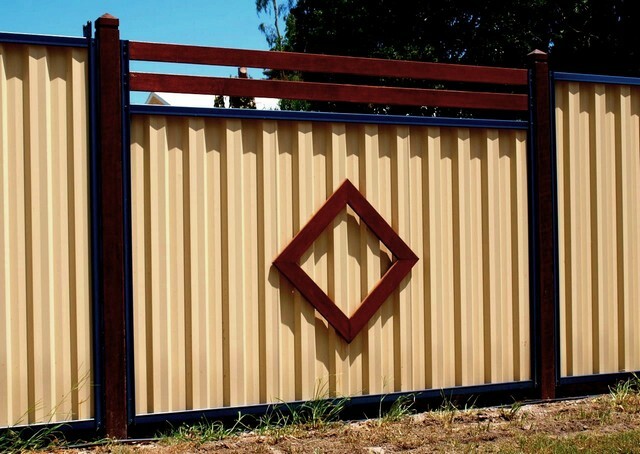 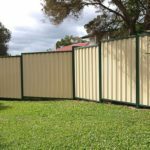 Come to Northside Fencing Services to make your own discovery on the versatility and durability of COLORBOND® steel and see the variety of colours it comes in. 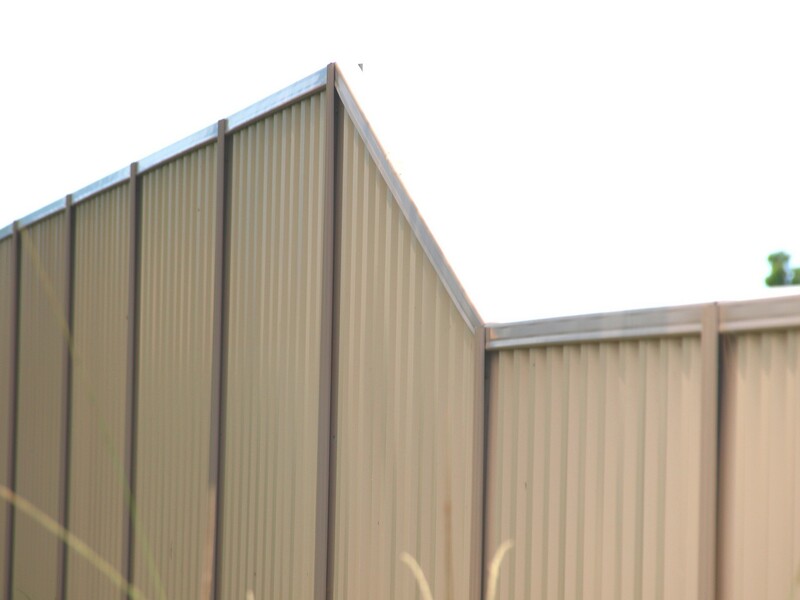 Our 2000m² factory is equipped with the best cutting machinery for that neat clean cut. The qualified operators know what they are doing and are here to do whatever it takes to supply a quality professional product. 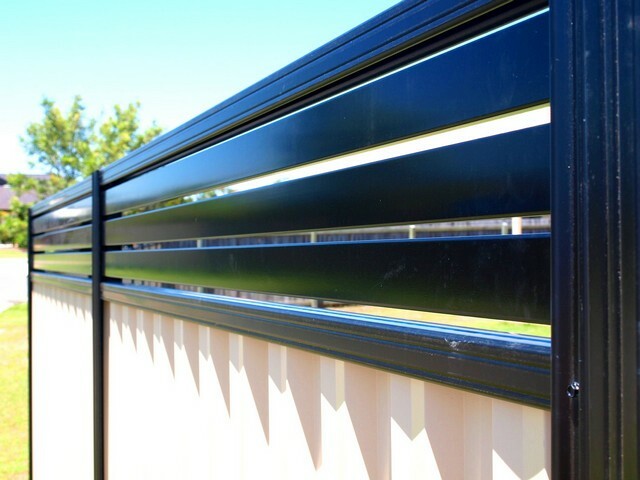 Did you know that to date approximately six million tonnes of COLORBOND® steel has been produced since 1966 and more than 80 percent of Australian guttering and fascias are made from COLORBOND® steel? 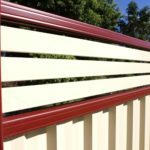 A product that popular that has stood the test of time is one that can be relied upon now and in the years to come. 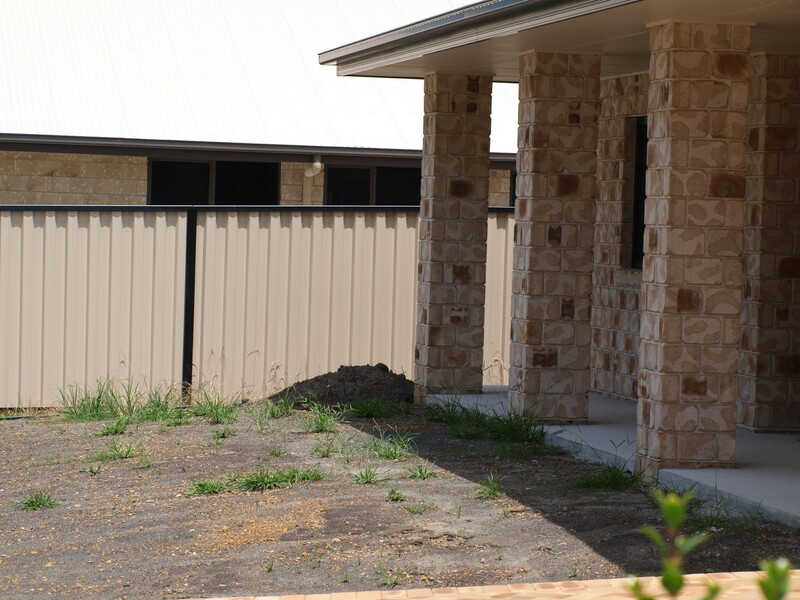 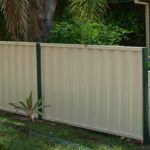 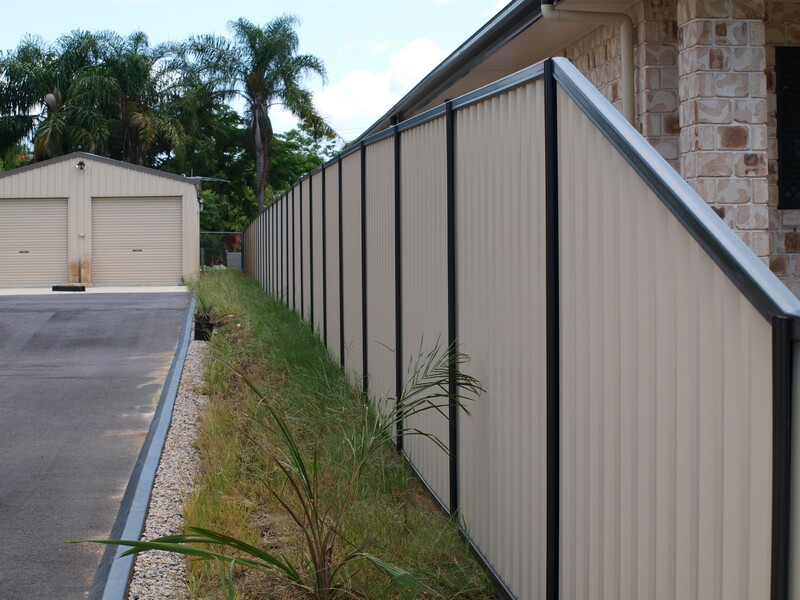 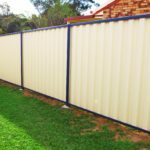 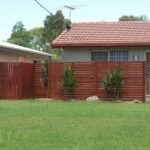 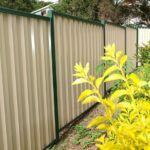 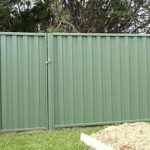 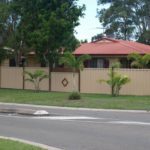 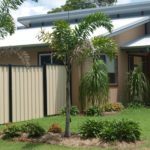 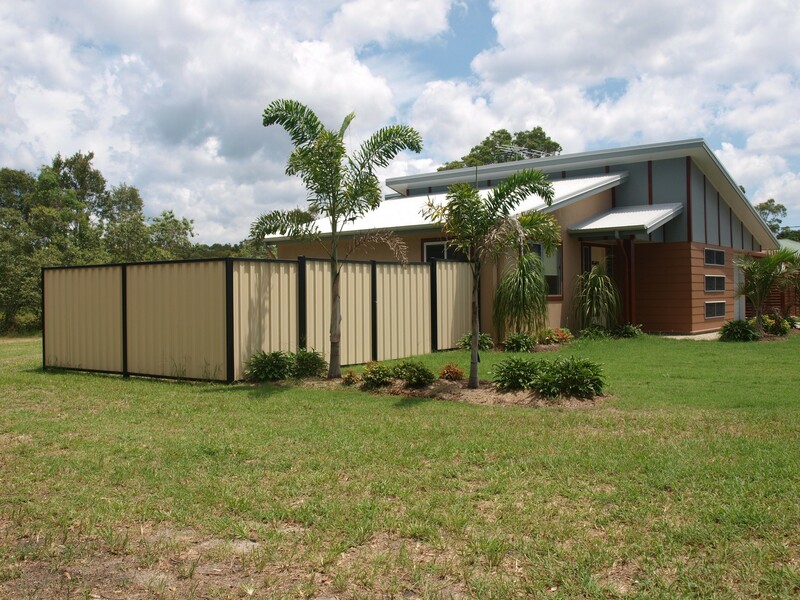 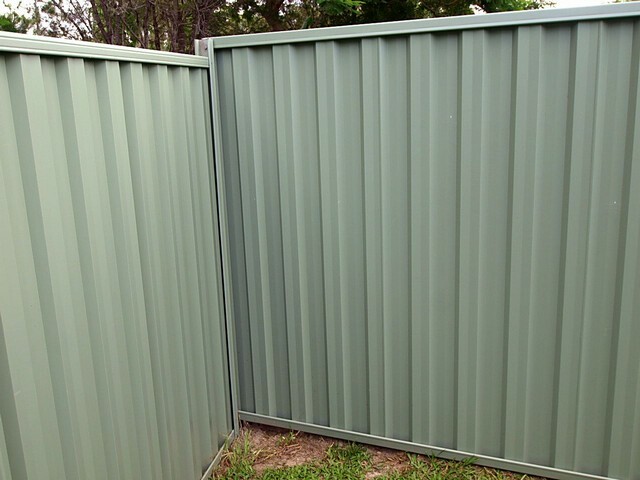 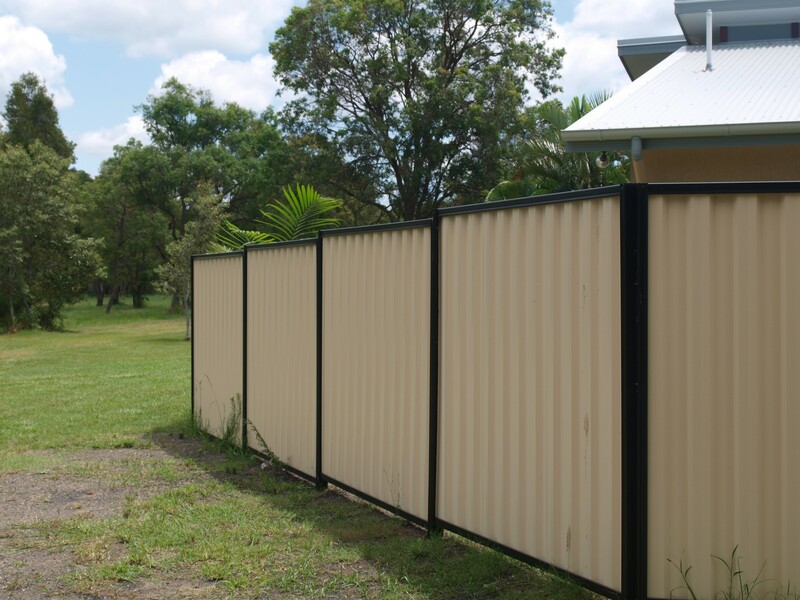 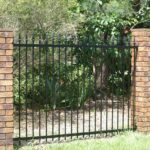 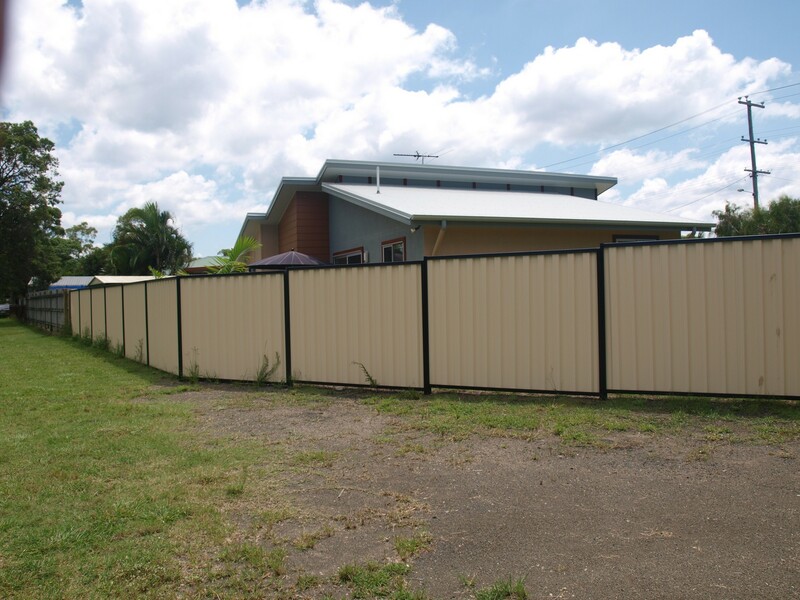 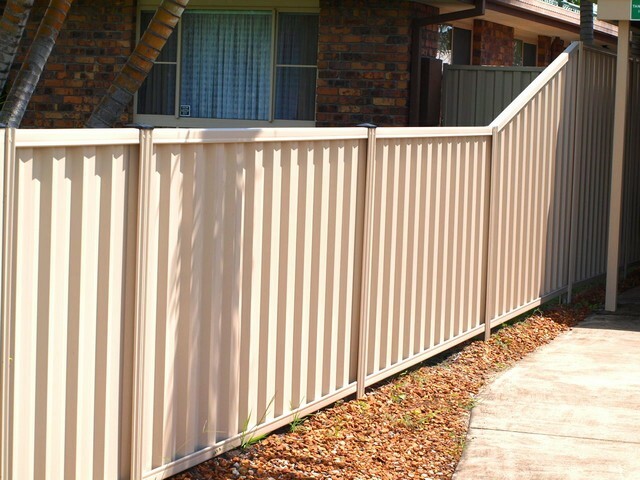 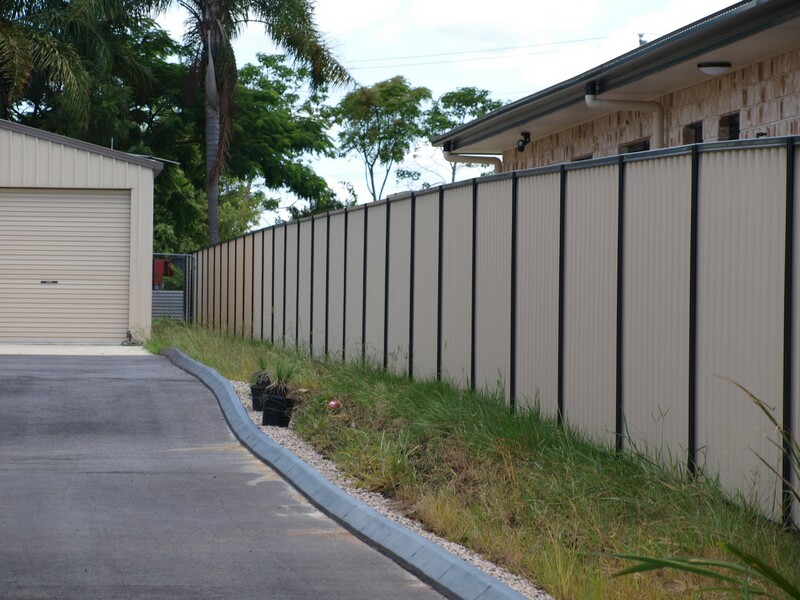 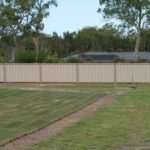 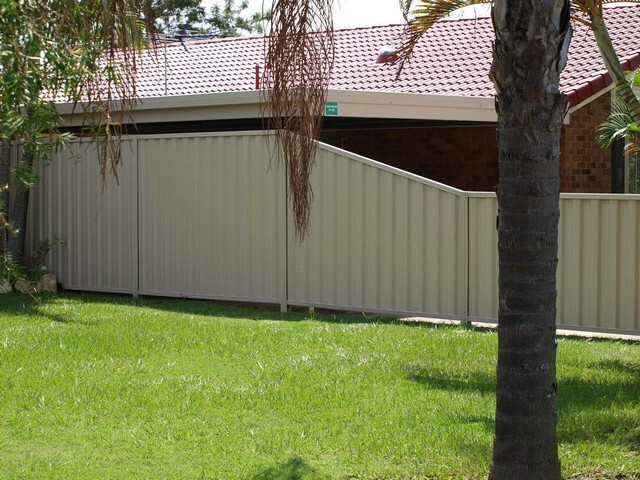 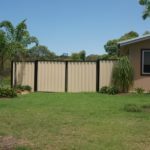 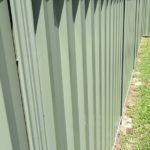 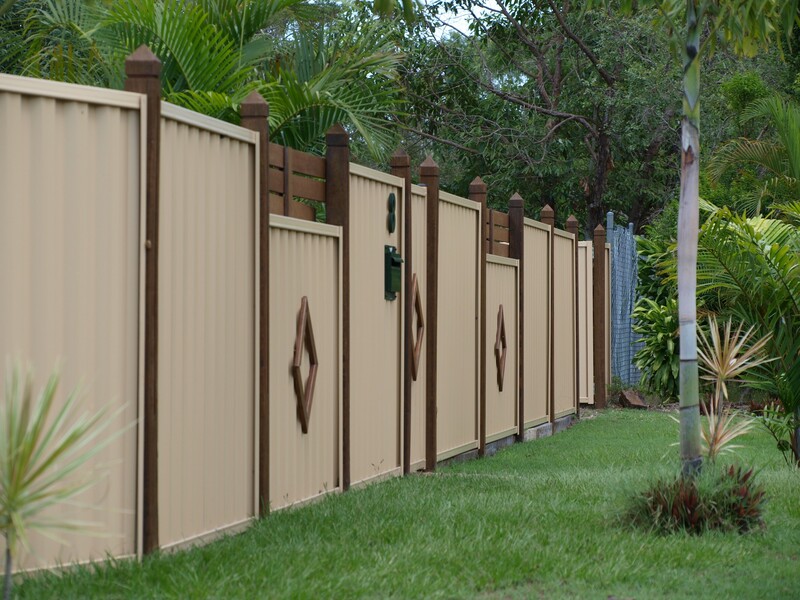 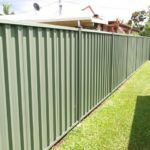 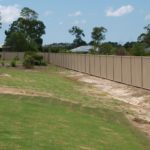 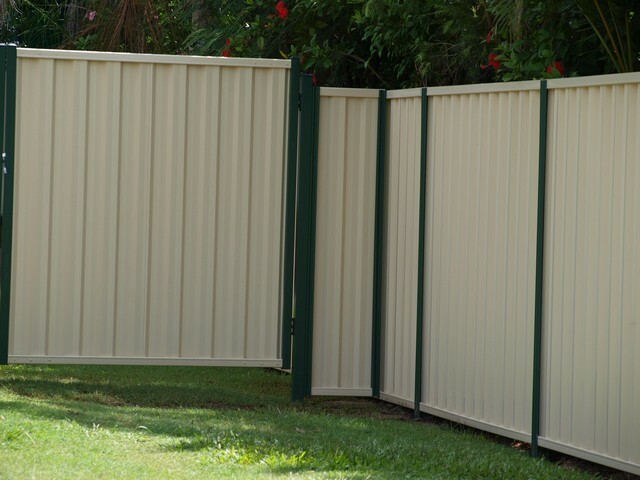 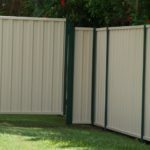 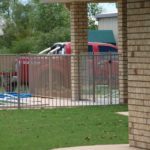 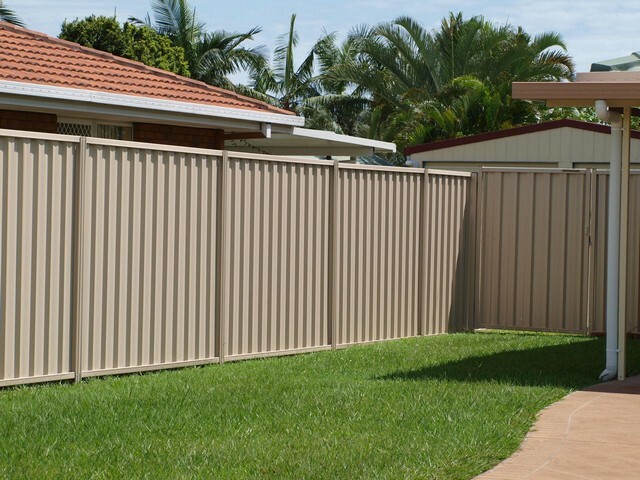 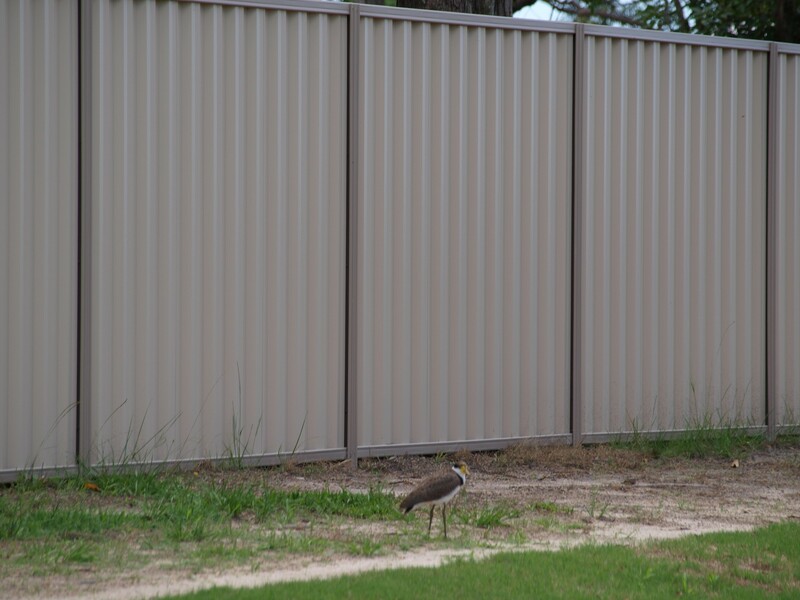 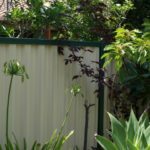 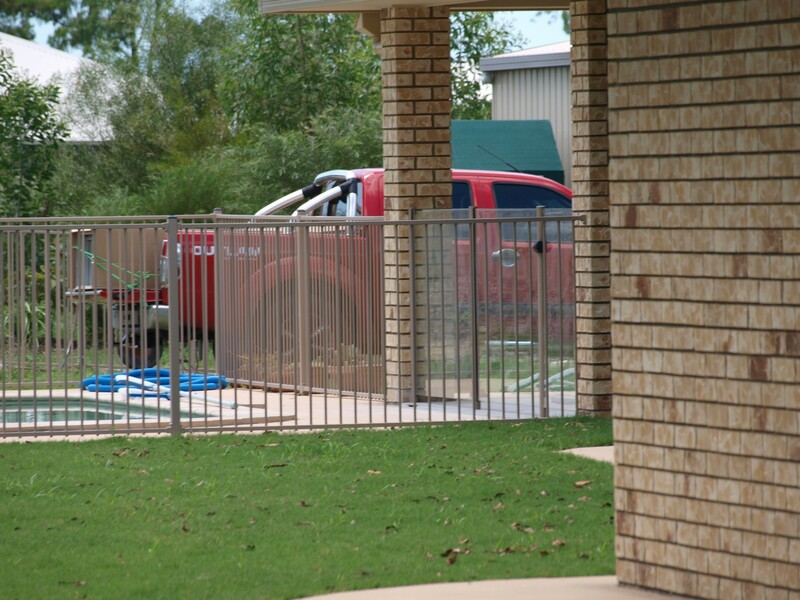 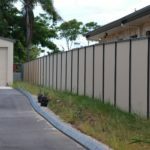 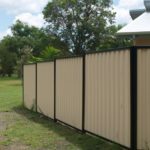 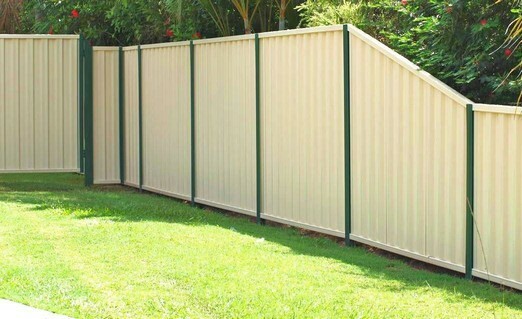 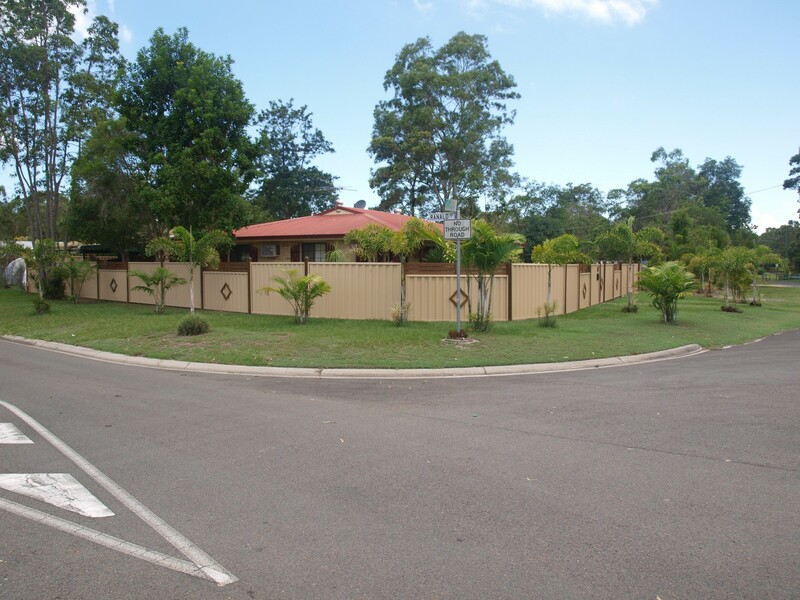 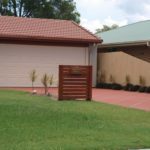 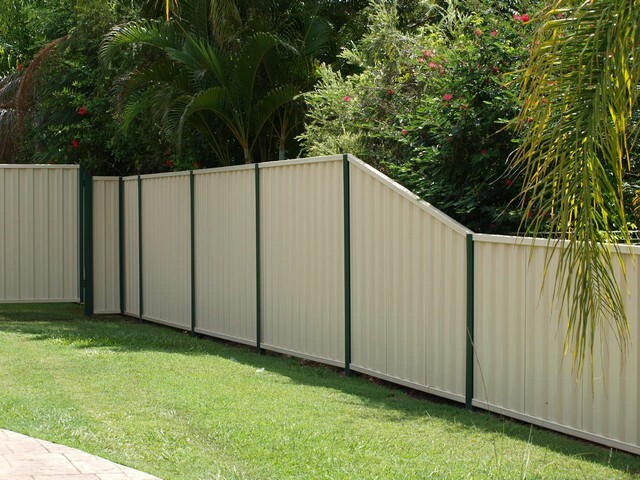 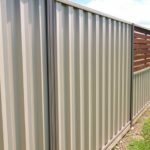 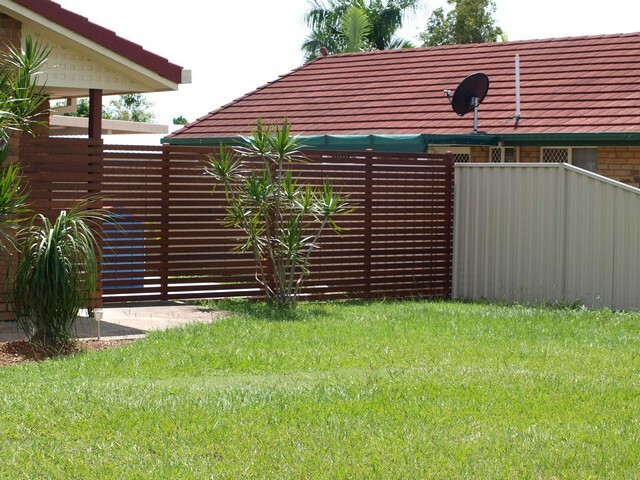 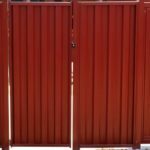 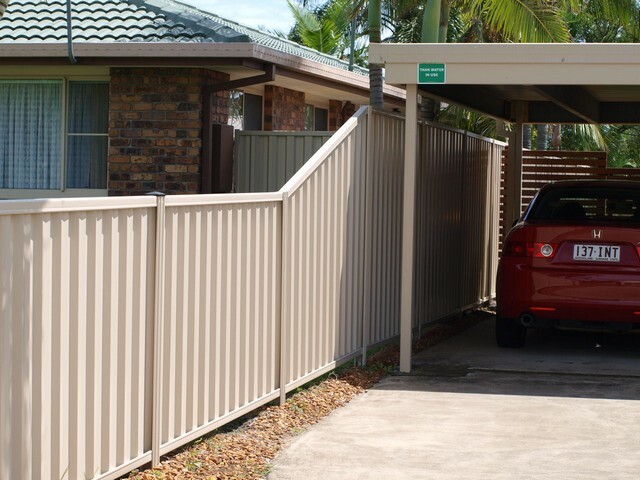 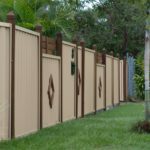 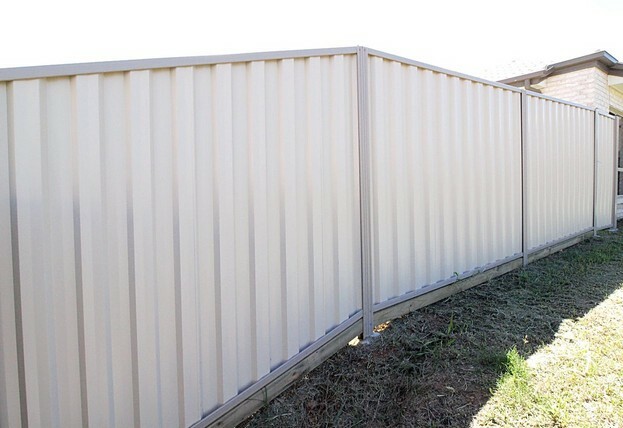 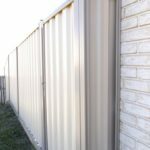 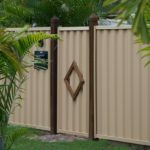 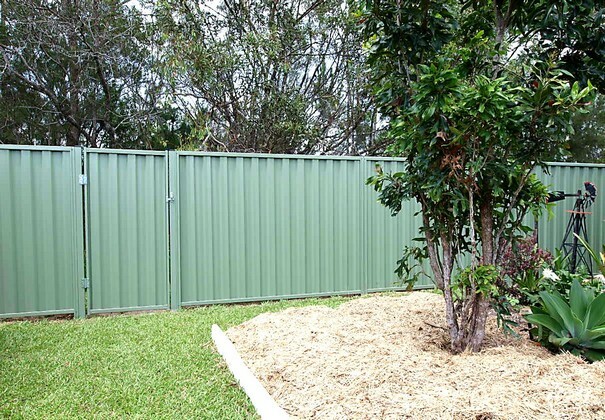 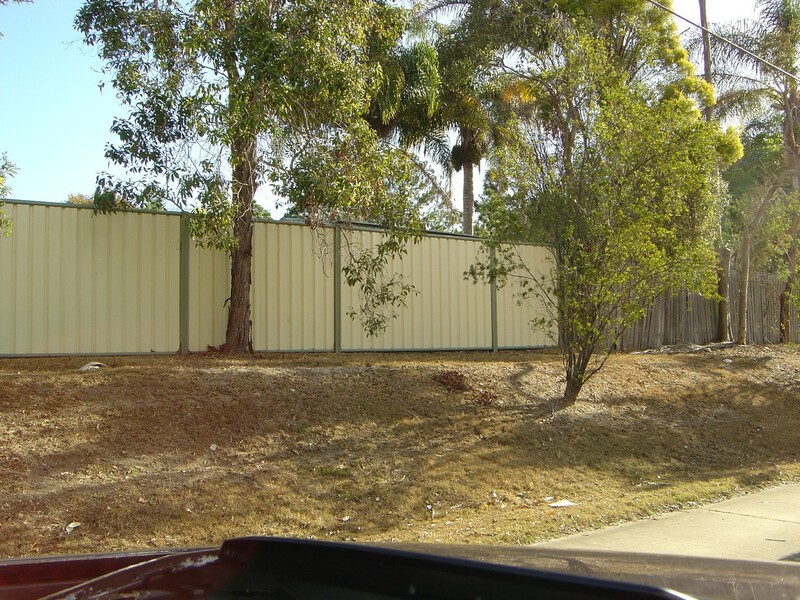 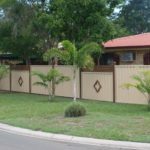 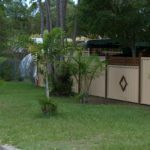 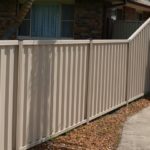 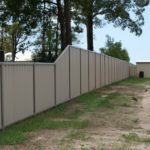 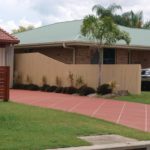 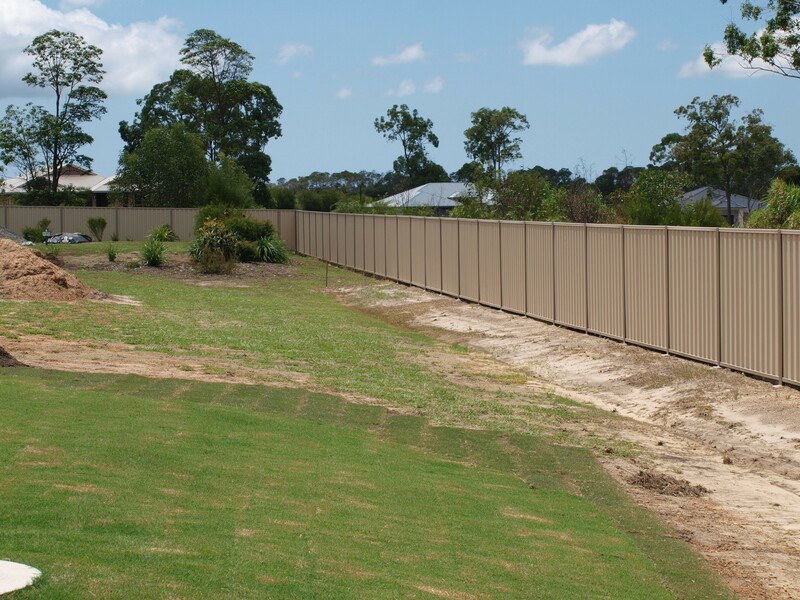 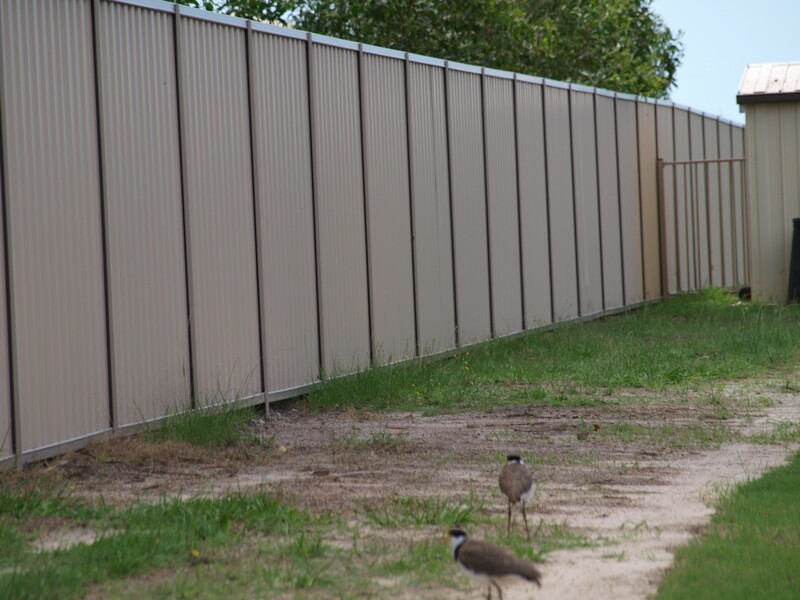 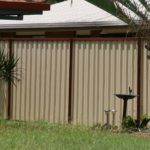 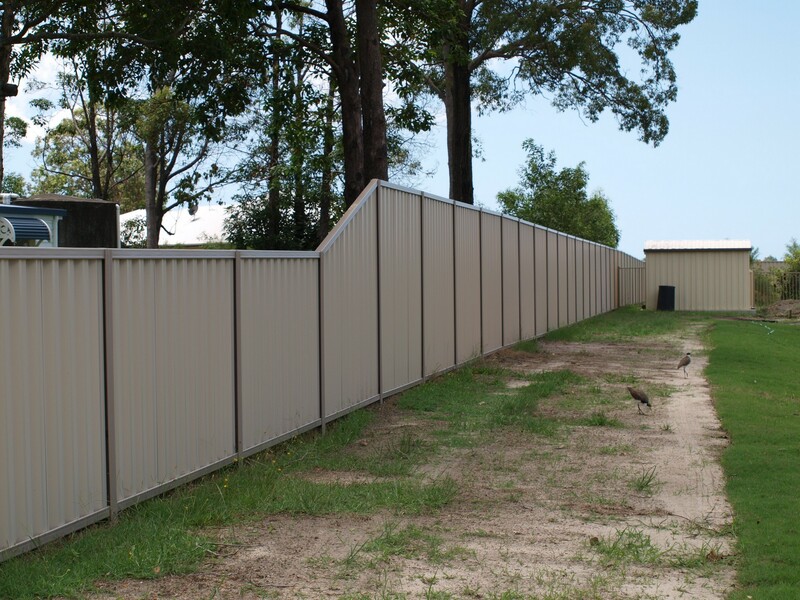 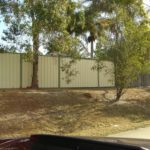 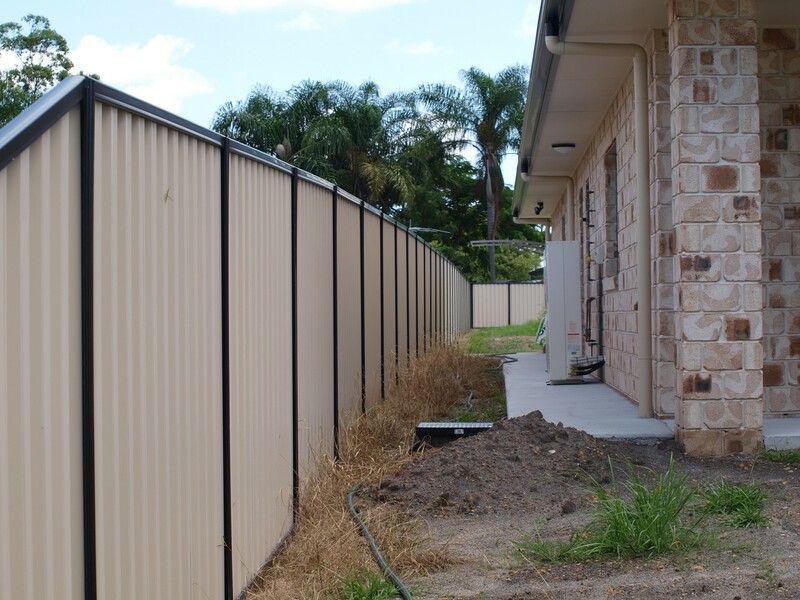 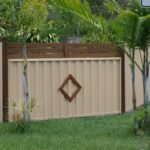 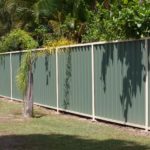 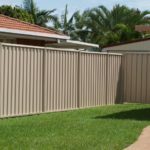 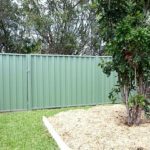 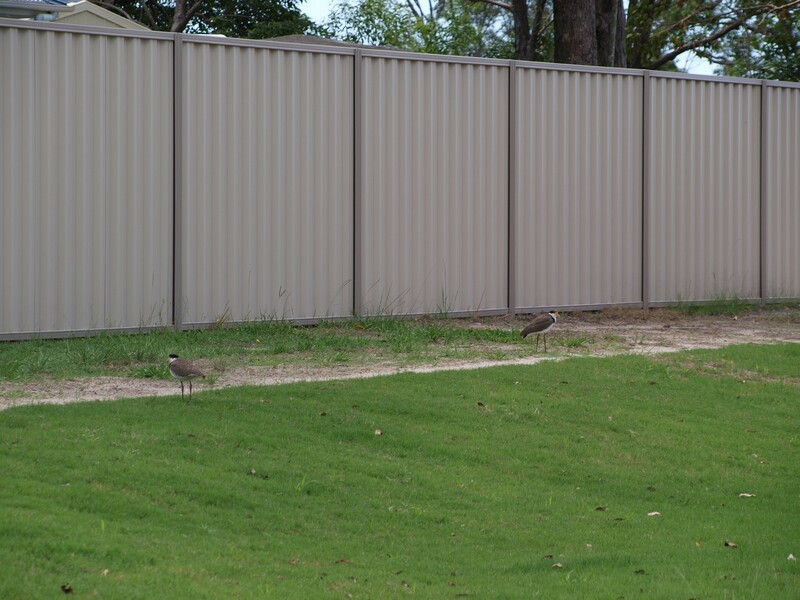 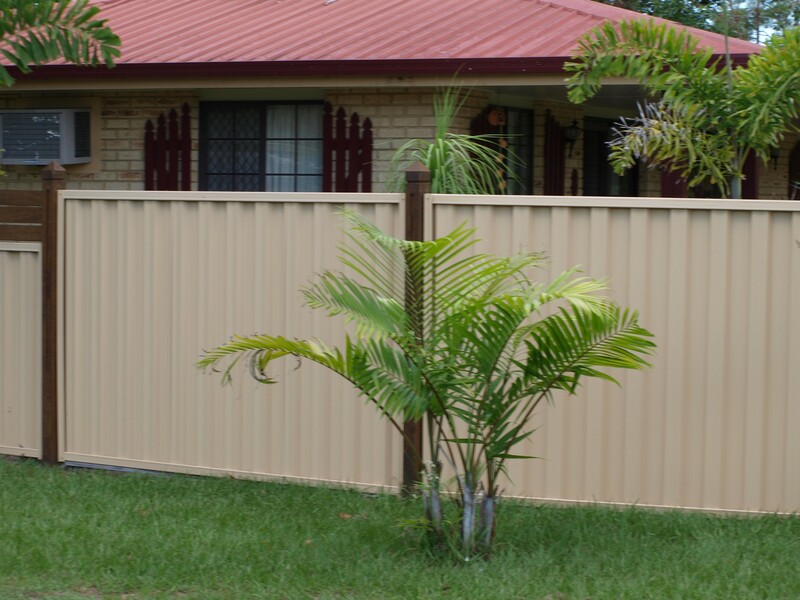 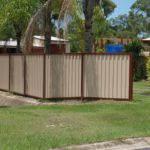 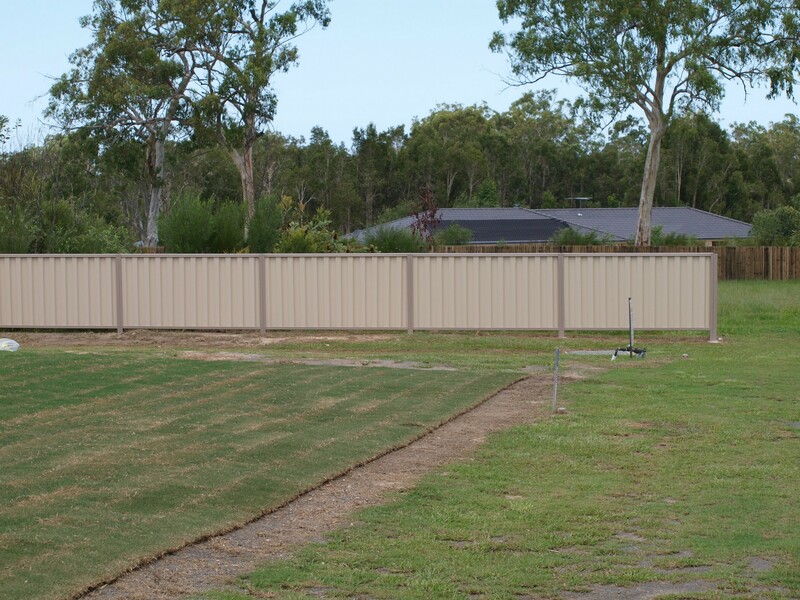 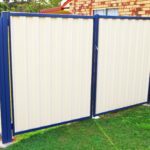 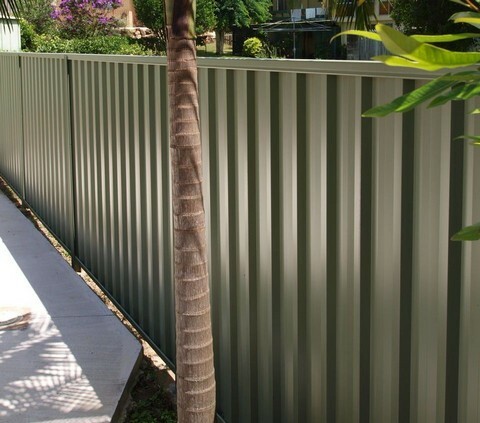 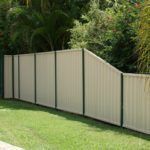 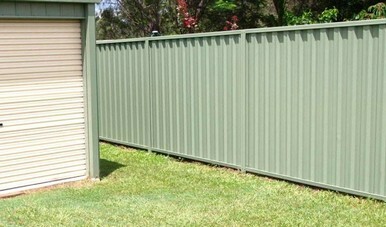 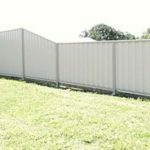 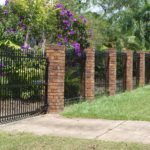 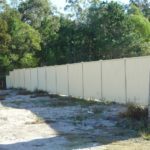 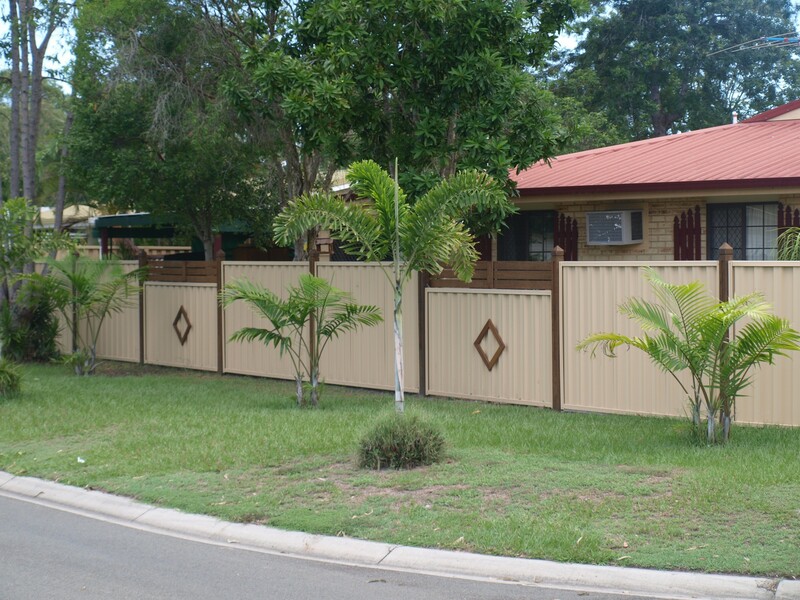 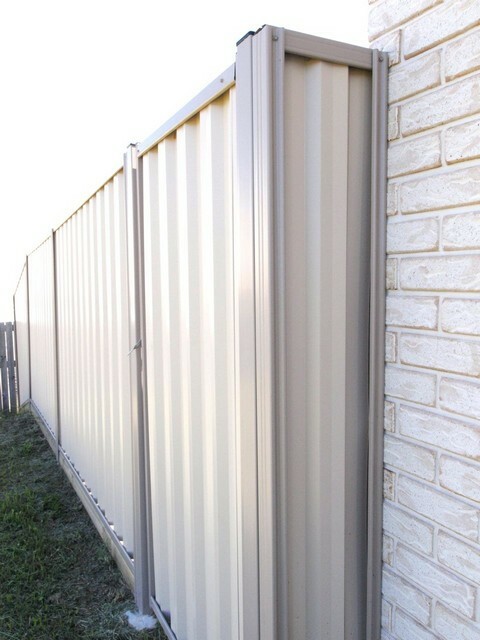 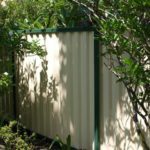 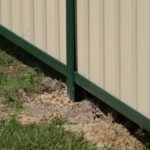 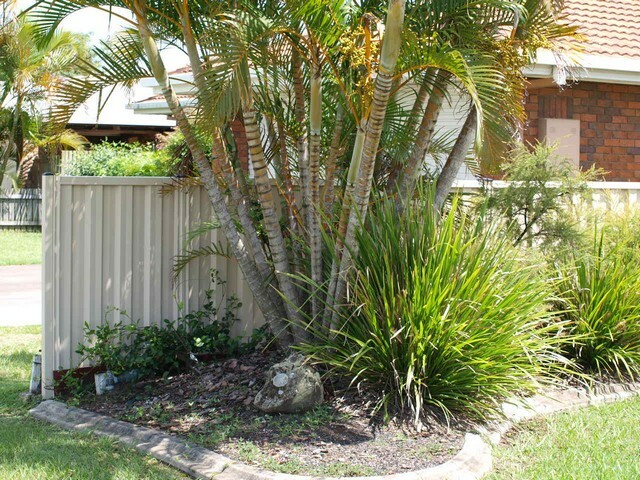 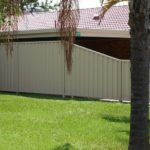 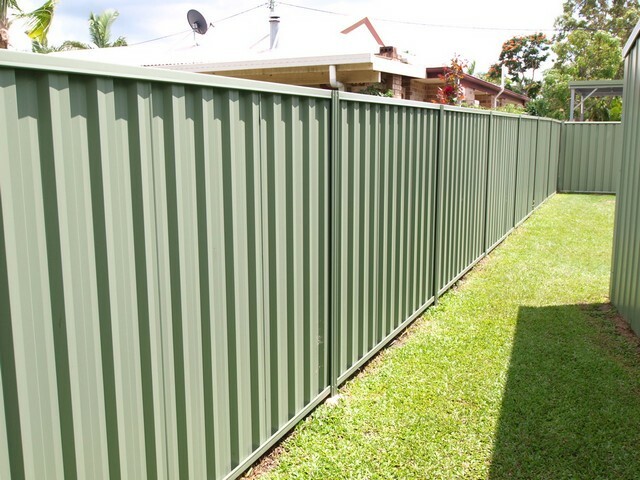 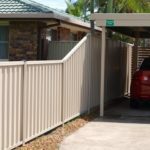 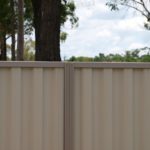 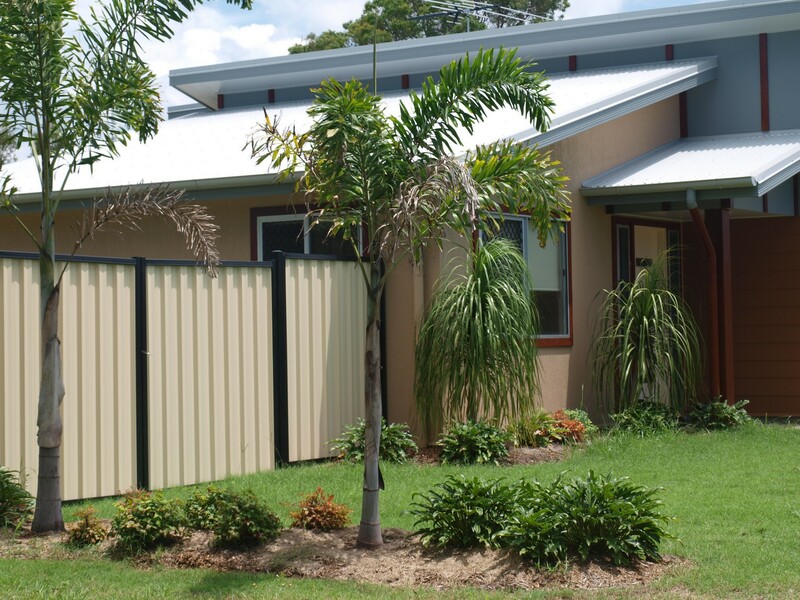 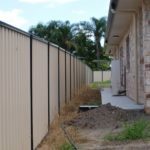 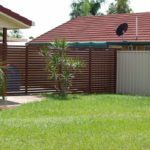 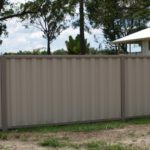 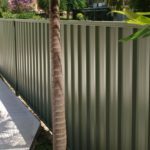 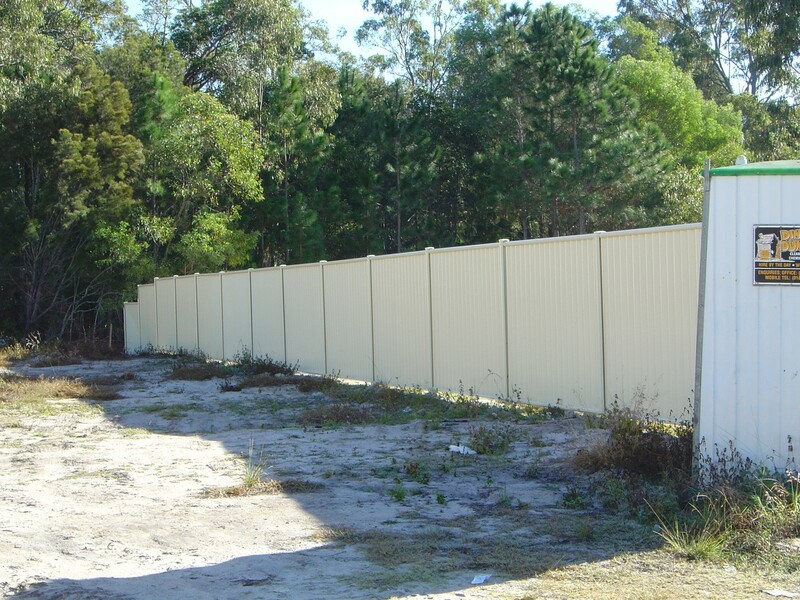 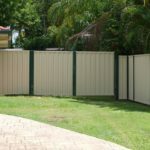 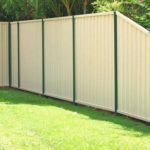 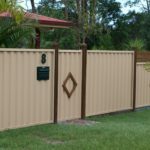 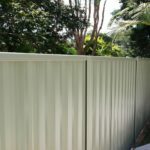 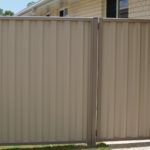 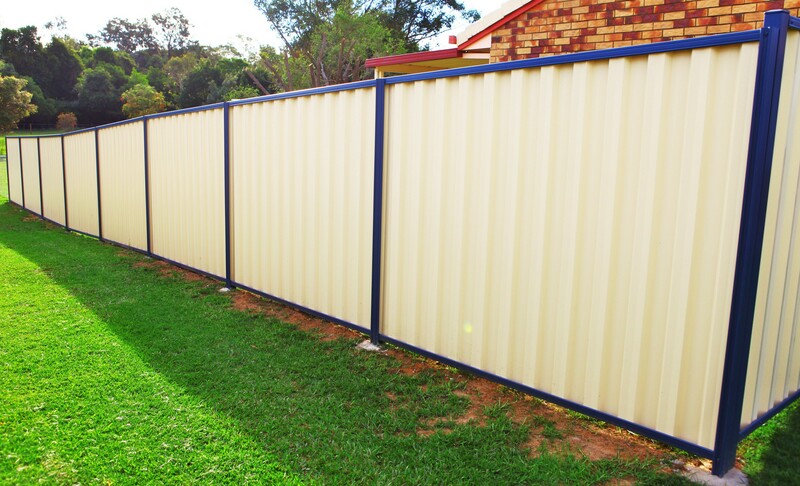 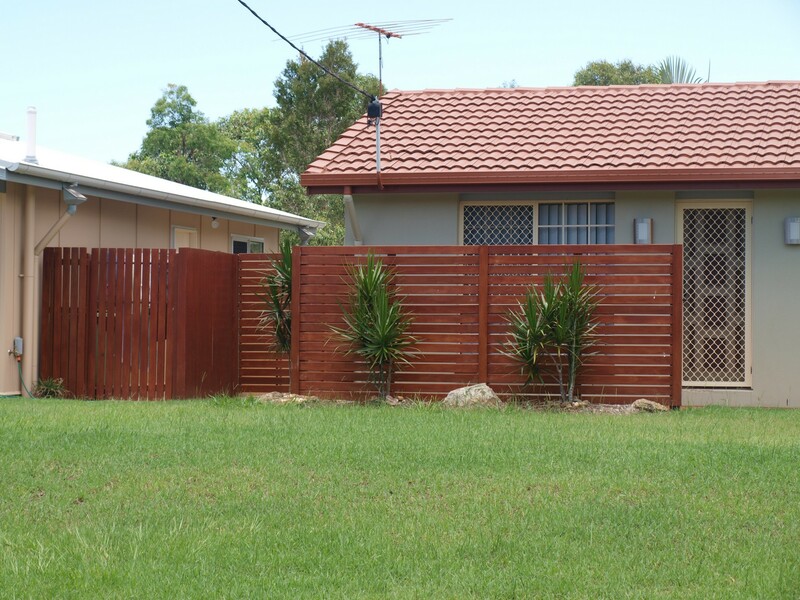 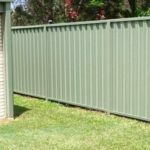 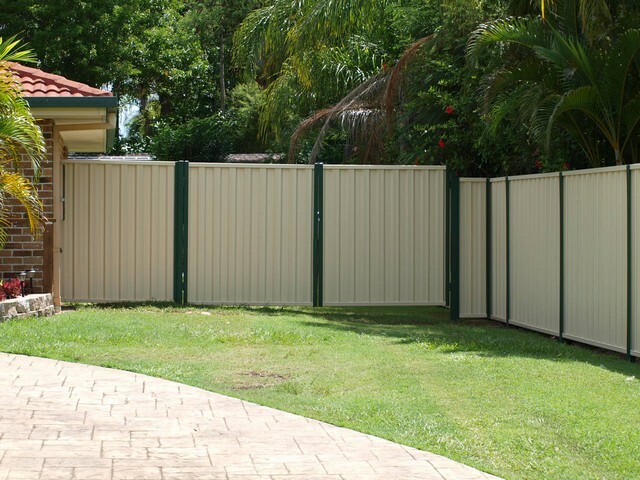 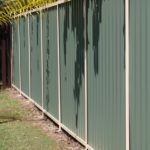 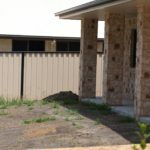 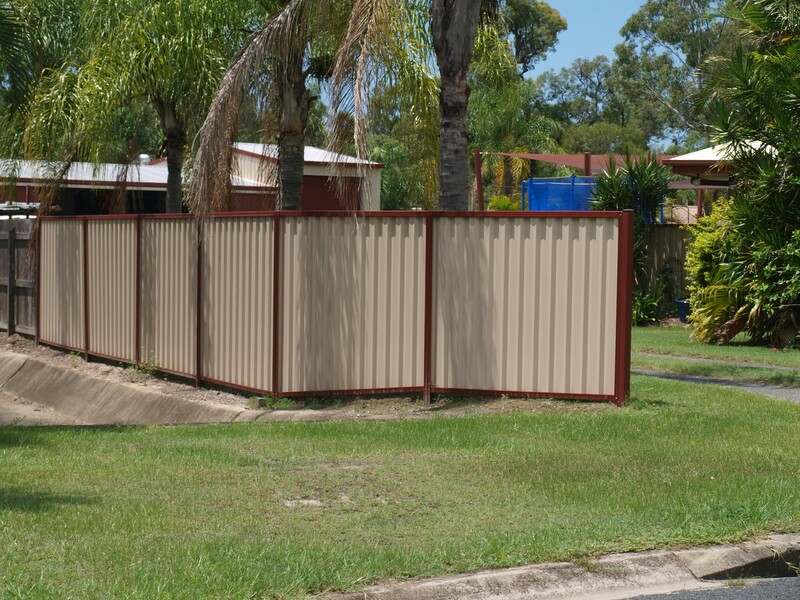 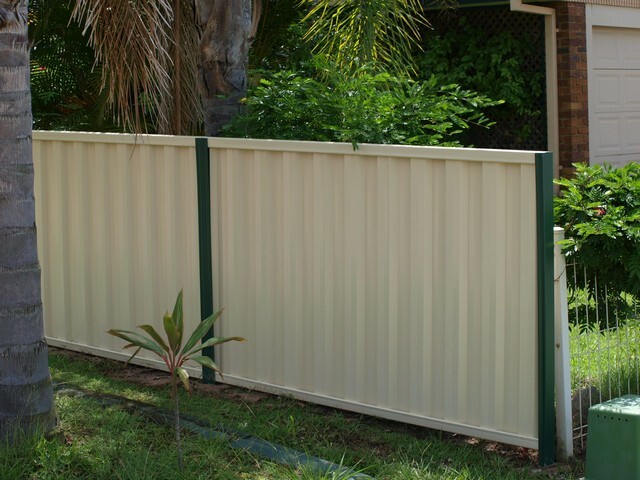 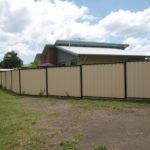 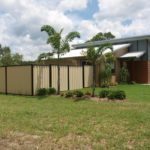 Call Northside Fencing Services today for a free measure and quote for that COLORBOND® steel fence in the colour just right for you.